One year jumps and Deok-In is off food shopping in the morning for her children. It’s adorable as the start telling Deok-In thay she’s the reason they are going to college and getting jobs. Deok-In happily agrees to give them all of the cooked fish. But at home, Jinwoo berates Yunseo for getting the same thing wrong and jokes that Yunseo takes after his mother. Yunseo answers back that he’s quitting and Jinwoo backs off… But then they spend the night up together with Yunseo studying and Jinwoo knitting to try to stay awake. The day of results comes and Deok-In spends the day checking her phone for a text and grumbles that no one is telling her anything. It turns out that it’s because Yunseo is too scared to check. He finally does and Jinwoo and Yunseo run out to meet in front of the restaurant…Yunseo has made it! The good news gives us an opportunity to see the current Kang family dynamics. The grandmother announces it to everyone and Hong-Ran adorably tells Hyunbok that this is a miracle for Yunseo. Just as she’s about to explain Yunseo’s past, Jin-Myung bumps her and Hong-Ran finishes with a note that Yunseo was cute. She suggests a party to celebrate. So the family celebrates on the family lawn. When it comes time for Yunseo to say something, he pulls out a bouquet for Deok-In. The family also makes him read his card. He confesses that he’s thankful and he gets tearful when he thinks of her… He promises to be a good person who can help others out and ends thanking her again. The mood gets all teary but the children jump in to alleviate the situation. Everyone toasts again. The grandmother sighs later that it’s a shame that Deok-In never became part of their family. Hong-Ran offers to jump in. Over dinner, Hong-Ran starts awkwardly noting how cute Deok-In and Jinwoo looks. Others shut her down for being awkward but agree that Deok-In is already part of the family. The same notes continue as Deok-In and Jinwoo leave. On another day, a truck pulls up and a pot of orchids are delivered. The card explains kind of stiffly that it’s the prettiest orchids that were grown by Eunseo. Just as they are talking about Eunseo, Jinhan and Hong-Ran show up at Eunseo’s greenhouse. She’s changed a lot as she doesn’t care about looks and eats straight from the big bowl. Jinhan looks a bit quieter asking if she always eats alone. Eunseo answers that she has Ruby and a puppy comes running out. After lunch, Jinhan and Eunseo take a walk. Jinhan tells Eunseo that they are going to holding an engagement party for Hyunseo and invites Eunseo. She refuses noting that she hasn’t seen Hyunseo in a year and she’s promised Daddy Kang…plus,it won’t look good for two mothers to show up at the party. Jinhan thanks Eunseo for giving birth to Hyunseo and raising him well. He invites Eunseo to come and visit Hyunseo more often. Eunseo answers that she will return when Hyunseo has children. But, she sends some of her flowers instead. Later Jinhan finds Jin-Myung preparing his fishing rods to go fishing. He invites Jinhan who declines as he’s afraid of the water. Jin-Myung asks his brother to come with him and promises to risk his life to save his older brother this time. Jinhan agrees seeing how much this means to Jin-Myung. Then Hyojung arrives and Hyunseo’s family has fruit together in the garden. Both Jinhan and Hyunbok smile on Heejung happily. We also see that Kyung-Ah has had a child and Bok-Rye is taking care of the baby. We switch to Kyung-Ah’s salon which is spacious and full of customers. Kyung-Soo’s restaurant is also full…of girls! Hahaha and they all get free cokes on the house thanks to the two naive boys running the restaurant. Meanwhile it looks like Hasoon and Deok-In are living at Bok-Rye’s as Deok-In comes home to Bok-Rye’s house as well.. Interrupting Hasoon and Bok-Rye wondering how to speed along Deok-In’s relationship with Jinwoo. Deok-In checks in on Kyung-Cheol’s picture letting us know that he’s gone on first. Bok-Rye comes in the room to tell Deok-In to invite Jinwoo to Bok-Rye’s house. Bok-Rye explains that Kyung-Cheol would want Deok-In happy as well and she wants to treat Jinwoo since the whole family is living easily thanks to CEO Kang’s inheritance. Bok-Rye even adds that she wants to see Deok-In living well and with family before she moves on. This convinces Deok-In. She goes to invite Jinwoo the next day. He agrees. So, the two mothers start preparing for the dinner. Meanwhile, Jinwoo decides that he’s going to get all of the clothes from his company’s store to give us a last opportunity to see some product placement. Yay, go Fantom! They bring the gifts and go in happily where Jinwoo immediately bows to the mothers. The Hwang family looks on him fondly and dinner begins. 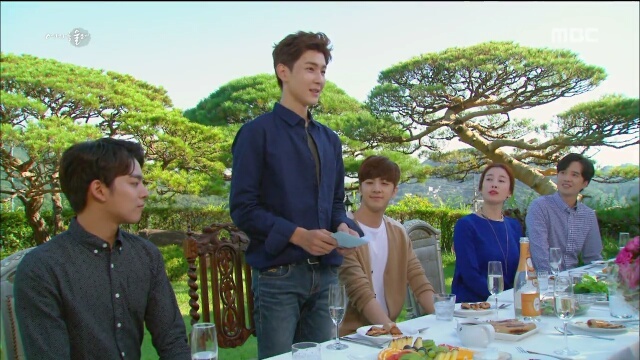 Even though the dinner was originally to thank Jinwoo, it turns to telling the couple that they approve of the relationship. After he leaves, the children decide to drink together for old time’s sake while the two mothers chat over fruit. Hasoon asks if Bok-Rye isn’t even a little bit sad about the situation. Bok-Rye snaps that Hasoon is asking an immature question. But, she confesses that she she is sad when she thinks about Kyung-Cheol… However, she adds that she cannot do anything since a daughter-in-law is a draughter too. 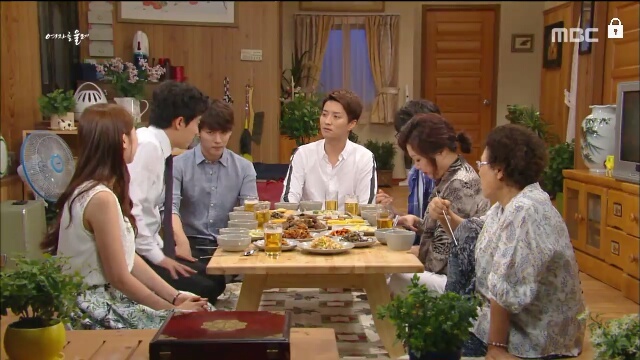 Jinwoo gets all happy about the dinner and goes immediately to tell his family. He explains how even though they are Deok-In’s in-laws, they are like family to Deok-In. His family cheers him on noting that they are glad Deok-In’s family moved first; they are not in the position where they can rush anything. Then Jinwoo confesses to Deok-In again in a bar. He tells Deok-In that he’s willing to wait… He already told his father that Deok-In would be the only woman for him. Deok-In answers that she has forgiven Yunseo but it’s different from marrying Jinwoo. Jinwoo accepts Deok-In’s position. He tells her that she can just live the way she wants and then come to him if the time ever comes that she wants to. All of a sudden?! It’s a wedding! It’s cute and sweet because Bok-Rye is standing on the side of the bride’s family where the direct family would be. Omg, even Jinhee shows up! Vows are given and rings are exchanged. Before the wedding ends, EVEN Eunseo shows up and nods before she leaves. Deok-In thinks to herself that she spent too much time held up on the concept of “forgiving” and wonders what it means to forgive someone or to love someone. She decides that she is still forgiving someone but… She is loving him at the same time. Sorry for the delay everyone! Here’s the last episode. Sigh, a bit anticlimactic and completely rushed. Like Lesley said, the last two episodes screamed of the writer burning out and throwing the script in the air after her drama was cut by ten episodes. However, I still give this series an A- overall. It kept us interested and even though the writing got rushed, there was enough meat in the storyline for me to binge watch a couple of episodes at a time sometimes. Generally, the writer kept the series from being bogged down by unnecessary angst for unreasonable amounts of time and the writing was solid by the majority of the characters. The series had an identity crisis in the middle and switched gears. It began reminiscent of the Japanese drama Gokusen where Deok-In used her past detective skills to protect the high school children. The story pacing was much more episodic at that time. Then Jinhee got involved and the drama turned to a love square/war between the cheating couple and Deok-In/Jinwoo. Before this storyline was fully developed, Eunseo’s storyline began to get more and more screen time…It was not clear whether the writer originally wanted the Kang family politics to become the main storyline. But, it did. All of a sudden, as Deok-In found out about The Reason That She and Jinwoo Cannot Be Together, the focus shifted. It was now focused on Eunseo’s attempt to take over the Kang family’s company and the obstacles that came up for her… From Jinwoo possibly getting married to Jinhan showing up with another wife. By the time that the drama realized that it wandered far from home base, it was time to speedily start wrapping up the story lines. We got three episodes that slightly developed and resolved all of the possible issues outstanding with generous use of time jumps. Deok-In. Deok-In. Deok-In. She developed but she didn’t reach her full potential due to the series being cut leaving me feeling a bit empty. She started out as a physically strong woman but still highly insecure emotionally. She could beat up gangsters but she would do anything she could to keep her husband’s and her husband’s family’s approval. She didn’t feel confident yet that even though she considers Kyung-Cheol’s family as her family, that they think about her the same way. For example, even though she found out that Kyung-Cheol was cheating on her, Deok-In refuses to get a divorce because she has to take care of Kyung-Cheol’s family. Jinwoo wooing Deok-In over subtly by always being there for her and making it clear that he loves her helps. She realizes that even though the family is important, she still has to take care of herself first. Thus, we she her rebel and refuse Kyung-Cheol even when he comes crawling back while still keeping Jinhee by his side. Deok-In’s character grew leaps and bounds when she found out that Yunseo was involved in Junghoon’s death. Now, even though the family and Jinwoo wants her to be with Jinwoo, she is literally the last person standing in front of the relationship. I thought that character development-wise, Deok-In achieved maturity (in selfishness). I wish that we had more time to see how Deok-In decided to accept Jinwoo and his family before skipping to the wedding. But, generally, good. Sadly, Jinwoo’s character was a bit two dimensional. He was the nice, quiet and supportive character in the beginning. He ended as the nice, quiet and supportive character. The closest he got to breaking out of the character box was when he rejected Deok-In’s invitation after Yunseo left. I am glad that Jinwoo ended up with Deok-In because she deserves to live comfortably and to be loved. However, there’s not much to say about Jinwoo. Ah, our resident reformed cheater and selfish idiot. His character developed immensely to the point where I could not recognize him at the end. During the process, he also showed us the extent of his acting abilities even as his character’s screen time got cut. That is totally respectable. In Gyo-Jin, I will keep my eyes out for you. First, he totally dove into the role of the hated cheater who neither respects or loves his wife. His character sinks even further when he suddenly finds himself fighting a losing battle because the Kang family likes Deok-In more. I couldn’t separate his image from the petty little ingrate that his character was. Then, the plot device of a fatal illness kicks in. (The use of this plot device was the only thing that I didn’t like as much in Kyung-Cheol’s character development.) However, once the trigger kicks in, Kyung-Cheol does an amazing job going from a selfish coward to being a family man… Someone who would rather spend his time with his family and would rather see his ex-wife with his enemy than leave her alone. I’m going to lump the Kang family in the same group because there’s just too many of them that became semi-main characters when the drama entered into its identity crisis. First, Eunseo. Her character went from being flatly two dimensional to being an interesting character. She elicited different feelings from me until she went literally crazy. At first, she was a pitiable evil character. The type that I love! Smart and scheming but her back story explains that every thing is not clear cut. She gave up her life and spent twenty years living in someone else’s family house to raise Hyunseo in a way that his future would be secured. As she didn’t have the protection of her husband, she literally had to live like the house maid but she still did it. So, it seems less damning that Eunseo would expect something in return. After all, with her mind, she probably would have climbed up the corporate ladder quickly. Eunseo’s deterioration into insanity was more forced. It felt like the writer was shocked herself how much the story wandered into Royal Family territory and focused on the Kang family. She had to do something and that something was to drive Eunseo completely insane so she could change and return to being normal. As much as I loved Hong-Ran’s character, I don’t think it changed much. She started out as a lighter character who only cared about her husband and ended as a woman happy that her husband loves her. Finally Jin-Myung! Interesting character. I couldn’t quite place him at one point and I wonder if he, himself didn’t quite know. The gray area began when we found out his involvement with Jinhan’s death. All of a sudden, it wasn’t clear if Jin-Myung was so obsessed with Eunseo because he still loved her or if it was because he was feeling guilty…After all, who wouldn’t be traumatized by the fact that your one minute of indecisiveness lead to his brother’s death. Then Jinhan returned and the way that Jin-Myung reacted threw shadows on the theory that Jin-Myung was only reacting out of guilt. After all, when given the chance to find his brother by sacrificing Eunseo, he pauses and waits. Moreover, when they find Jinhan and Eunseo starts changing her attitude, he looks hurt and falls into melancholy. Well, my review ended up being longer than expected. I hope everyone enjoyed Make a Woman Cry as much as I did. There were too many days that watching these episodes made my day and for that I put this drama in the Rewatch Someday category. The second to last episode! Kyung-Cheol returns healing, Kyung-Ah gets married, the Kang family forgives each other, Jin-Myung falls for Hong-Ran and Deok-In and Jinwoo go off to save Yunseo. Yes, all in one episode! Daddy Kang is rushed to the hospital with all of the Kang family members following. All of a sudden, Hasoon is running to Deok-In to tell her that CEO Kang has passed on. So suddenly? Did Lee Soon-Jae have to start another filming? How jarring! The funeral is held and the family’s women sob in front of his picture while the men stand in shocked sorrow. Eunseo also walks toward his picture and falls to her knees sobbing that she was wrong… Repeating it over and over again, asking for forgiveness. Deok-In also shows up and bids CEO Kang well on his journey to the afterlife. Jinwoo walks her out and explains what happened. Deok-In murmurs that CEO Kang must have thought of Eunseo as his child as well. The discussion turns into a didactic review of how children could never fathom just how much their parents love them. They find themselves sitting outside of the funeral and Deok-In tells Jinwoo that he won’t realize it emotionally right away… Instead, he will keep wondering where his father is when he goes home-feeling the loneliness each time. Deok-In walks Jinwoo back in and then spots Yunseo in the hallway. 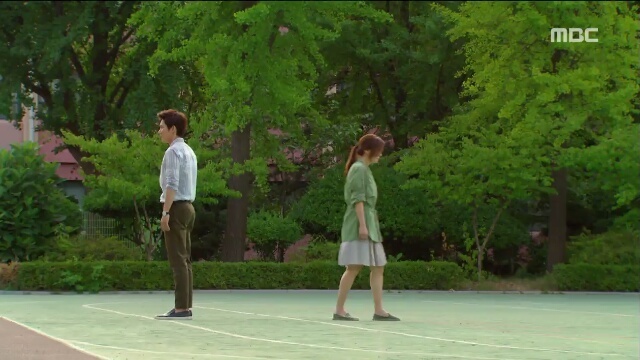 As soon as he sees her, he runs away for his life but Deok-In follows. During the time away, Yunseo has gotten better running away and he ends up jumping the fence. Deok-In yells at him to come back as his father is waiting for him. Then she pretends to leave to catch him but Yunseo breaks free. He does drop a lighter from a host bar and Deok-In brings it to Jinwoo. Hong-Ran finds the exhausted Eunseo and tells her to go home and rest. Eunseo jokes back that Hong-Ran sounds like she’s worrying about her. Hong-Ran answers that she’s not sure herself but seeing their father-in-law leave like that, she realized that Eunseo is her family. Eunseo suddenly tells Hong-Ran that she’s really sorry for the past. She asks Hong-Ran if Hong-Ran can ever forgive her. Hong-Ran tells Eunseo that she has also missed Eunseo. And as the two accept and forgive each other, Eunseo wonders if they will ever see each other again. Hong-Ran responds that they will since Hyunseo will be at their house. The next day, Deok-In goes to the host bar named on the lighter to look for Yunseo but the worker denies knowing him. She updates Jinwoo and advises him not to involve the police since that might spook whoever brought Yunseo back into the country. She also tells Jinwoo to be patient. Yunseo visited the funeral because he misses his family as well… He will return. Time passes and Deok-In and Jinwoo are back at a bench. Jinwoo confirms that the educational endowment has been given to charity and CEO Kang has also left something for Deok-In. Hasoon encourages Deok-In to accept it considering CEO Kang’s wishes… She also reminds Deok-In about the expenses facing their family and the Hwang family. Deok-In answers that she will take the inheritance and use what they need before donating the rest. They go over to the Hwang house and tell Kyung-Soo to take over the current pizza restaurants. 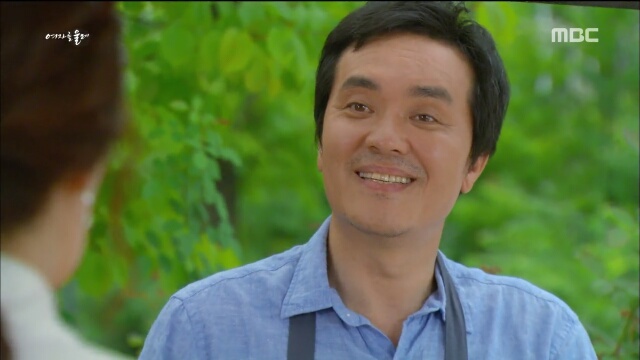 A little bit of lightness returns when Hasoon snaps that Kyung-Soo has to be the owner and Kyung-Tae the manager… Because he’s old and needs to get married! Another jump and the family has bought the pizza restaurant! Kyung-Cheol shows up and he looks like the treatment is working! Next thing we know, Deok-In is back in the host bar. A waiter is eating noodles and yells out that he doesn’t know anything. Deok-In silently throws a check for $10,000 and promises another check for the same amount if the waiter finds the kid she’s looking for. The waiter changes his attitude and promises that he will be able to find the boy if he’s in the neighborhood. As for the Kangs? CEO Kang’s death has magically turned everyone into the perfect family members. Jinwoo gladly gives the CEO position to Jin-Myung and Jinhan agrees. Jinhan tells the family that he has worked enough and wants to start studying again and traveling now that he’s rich. Luckily for him, the rest of the members are okay with Jinhan becoming a professional bum at the family’s expense. 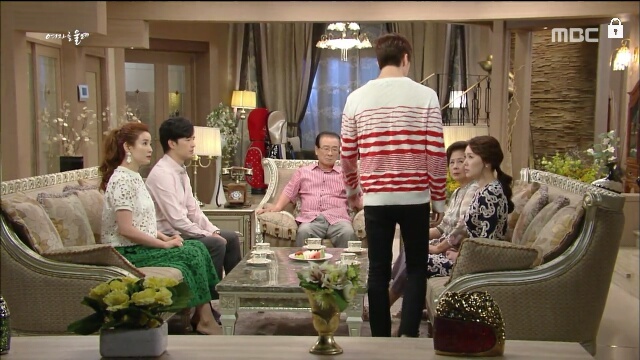 Jinhan then asks the family if he can bring Hyunseo back home. Momma Kang agrees but looks at Hong-Ran to see if she would object. Surprising everyone, Hong-Ran answers that they have to bring Hyunseo back if Eunseo will allow it. Jin-Myung is as skeptical as me because he follows Hong-Ran upstairs and notes that she’s matured. Hong-Ran answers that she realized that life is short and wants her son to focus on golf like she likes. Minseo is overjoyed since he didn’t like studying anyways. Jin-Myung follows Hong-Ran into the room and asks again what happened. She answers that she doesn’t have to be so combative now that he’s the CEO. She can be magnanimous and take care of the family, too. Jin-Myung pulls her into a hug and tells her that he loves her. He just now realized that she is the only one who loved him through everything. Finally having achieved what she really wanted, Hong-Ran breaks down. Another subplot solved magically! Then Jinhan and Hyunbok meet with Eunseo who apologizes for being a psychopath and agrees to give them Hyunseo. Since we have only 1.5 episodes to fix everything, the writer is on a roll. Deok-In gets a call from her waiter. He’s heard that Yunseo is drinking with some gangsters at another bar. He even gives her the name of another waiter who works at that bar and can help her. Deok-In pays him and goes to find Yunseo. With the help of the waiter, Yunseo walks out to see who’s looking for him. Deok-In convinces him to speak with her for a little bit and they go off to a bench. Yunseo explains that he met a Korean hyung abroad who was also in trouble. The hyung offered to bring him back. Deok-In asks why he didn’t come back to the family. Yunseo answers that he is just afraid because he doesn’t know what he wants to do or what he can do. Deok-In reminds him that he’s only 18 (Korean age) and is young enough that he can do anything. Yunseo changes the subject to ask whether Deok-In will tell Jinwoo. Deok-In replies that she won’t until Yunseo is comfortable telling Jinwoo. However, she does put her number into his phone and tells him to call her if anything comes up. Yunseo does not answer but decides to go home. Deok-In stops Yunseo and stutters out that she no longer dislikes him. Yunseo freezes and Deok-In blurts out that she wants him to be happy… That she will wait until he returns. Yunseo looks like he’s about to cry and runs off. The next day, Eunseo tells Hyunseo about his father’s request to bring him back home. Hyunseo asks what Eunseo will do and she answers that she’s going to the countryside to focus on flower arranging. She even adds that she wants to see Hyojung before she leaves. 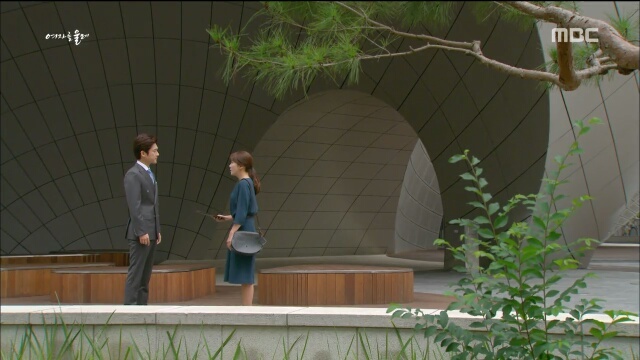 Hyunseo later meets with Kyung-Tae who explains that the lie was all his idea. He asks Hyunseo to make Hyojung happy. Hyunseo tells Kyung-Tae that he never hated Kyung-Tae. He explains that he knows he cannot judge anyone without being in their shoes. Kyung-Tae smiles and declares that Hyunseo is a great guy. He also adds that Hyojung is even a better girl so Hyunseo better make her happy. With that Hyunseo brings Hyojung to his house. Eunseo apologizes for being a witch all of those times and explains that she was just insecure. She also adds that she’s going to the countryside and Hyunseo is returning home. She asks Hyojung to take care of Hyunseo. Hyojung agrees and adds that she wants to repay Hyunseo for all of the pain that she’s caused him. Eunseo seems to like this answer and gives Hyojung the diamond ring that is usually passed down to the eldest daughter-in-law in Hyunseo’s family. All of a sudden, it’s the wedding! Kyung-Ah turns into a beautiful bride and the wedding ensues. Next thing we know, Jinwoo is anxiously buzzing around Deok-In’s restaurant. He asks her if she’s found Yunseo… After all, Deok-In had said if she doesn’t find Yunseo, she would try to find him another way. He notes that Deok-In not continuing her investigation means that Deok-In found Yunseo. Deok-In walks around to sit next to Jinwoo. She tells him that she promised Yunseo not to tell his father… She has to keep her promise or Yunseo would not trust her. She explains that she promised to run to Yunseo if he ever called. Just as they are talking, Deok-In’s informat calls. They go to the host bar and the other waiter makes Deok-In promise that she doesn’t tell anyone he told… He explains that he’s only telling her because he’s worried something happened to Yunseo. Just then, Yunseo calls but hangs up without saying anything. With the help of the chatty waiter, they rush over to a gangsters’ den. Deok-In and Jinwoo march in and demand that they let Yunseo go. When the gangsters ask who she is, Deok-In answers that she’s Yunseo’s mother. Things turn ugly quickly and Deok-In starts to fight them off while Jinwoo unties Yunseo. Yunseo can barely walk so Jinwoo has to carry his son… Which leaves them vulnerable to attacks. Deok-In sees a gangster approach them with a pipe and runs in to get hit on the head in their stead. Deok-In gets a direct hit and falls. Just as we are all wondering how Jinwoo will. manage to get both the weakened Yunseo and the concussion-suffering Deok-In, cops pull up with the helpful waiter in the back seat. Now that we are on the second to last episode, I felt like the writing got looser and it was all a race to tie all of the storylines up as tightly as quickly as possible. Unfortunately, this meant that although I agreed with most of the endings, the endings felt kind of hollow. The frequent use of time jumps did not help with the authenticity of the storyline resolutions either. Second, the dramalords “and this will happen because I say so” was also apparent in the resolution of the Kang family politics. Eunseo’s character change only makes sense because she was saved by CEO Kang. But, Hong-Ran’s and Jin-Myung’s character changes just seemed like the writer was throwing everything into the pot before the water comes to a boil. 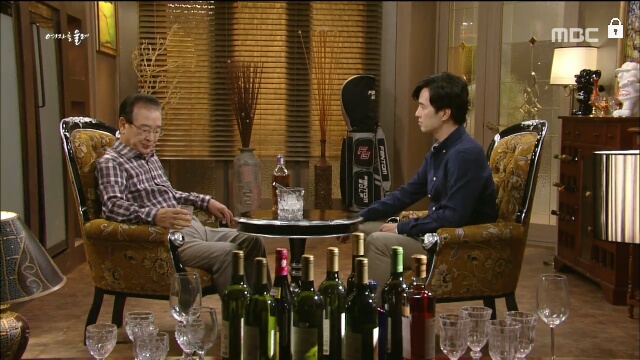 Hong-Ran’s character has been pretty steady from the beginning and it made no senset hat Hong-Ran would ignore her son’s desire to continue golfing against his wishes, especially if it would make him feel miserable…I was under the impression from the prior episodes that Minseo very clearly knew what his mother was trying to do and also wanted the same thing. So, the resolution of Hong-Ran’s arc with Hong-Ran suddenly realizing that Minseo wanted to golf and Minseo declaring that he didn’t like studying anyways was a gaping plot-hole. Additionally, Jin-Myung’s decision to suddenly find Hong-Ran attractive and lovable was clunky as well. I really wanted to just be convinced that Jin-Myung had a change of heart by seeing Hong-Ran thinking about the family’s welfare. However, for the last several episodes, Hong-Ran has been acting on behalf of the family. Specifically, she warns Jin-Myung several times even after he knows Eunseo’s true character. It just did not convince me that Jin-Myung would suddenly fall for Hong-Ran just because she was willing to welcome Hyunseo back into the house. Finally, the Yunseo arc. Another random gangsters kidnap Yunseo situation?! The first time, I accepted it and thought it was pretty moving. But, this is the same drama! I don’t need to see Yunseo kidnapped again and needing Deok-In to come running again! It’s like the writer ran out of ideas. It was never even fully explained why the gangsters would want to kidnap him anyways! Meh. Onward to the last episode! Deok-In gets involved in the investigation of Dohyun’s death and the police even benefit from Eunseo’s determined snooping. However, everything is not as it seems when the answer comes out. Believing that her back is against the wall, Eunseo turns to extreme measures and everyone has to deal with the repercussions. Now that Deok-In has a reason to be involved with the investigation, she starts giving the detective basic tips so that us viewers can guess how a detective thinks. Basically, Deok-In tells her junior cop that there must have been a third party who helped the transaction get completed between the murderer (driver) and the man who wanted Dohyun dead. The junior cop guesses that it would be the wife and Deok-In tells him to have the wife watched. Then Deok-In calls Kyung-Cheol that he should tell the family that he’s going abroad for a couple of months and get treatment. She explains to Kyung-Cheol that she has the money Bok-Rye gave her which they can use to wed Kyung-Ah off… She will also pull the junsae money (basically a full deposit and no month rent situation) and then turn her apartment into a monthly rental. They can use the junsae money for his surgery fees. Kyung-Cheol answers that he doesn’t want to go after relying on her again. So, Deok-In answers that he should think about the people he’s leaving behind; none of them would be happy if he didn’t at least try treatment. This convinces Kyung-Cheol who tells her that he also has money for surgery. The next day, Kyung-Cheol starts settling up his affairs. He goes to see Kyung-Soo and gives Kyung-Soo his account book. He explains that it’s all of his savings, which should help in taking care of the family. Kyung-Soo understands what Kyung-Cheol is doing and accepts the account gratefully so that Kyung-Cheol might feel a little better. Meanwhile, Deok-In and the Kang brothers (separately) strategize about the investigation as CEO Kang brings Hong-Ran and Hyunbok to a jewelry store. He offers to buy Hyunbok something worth a house and Hong-Ran something worth a car. 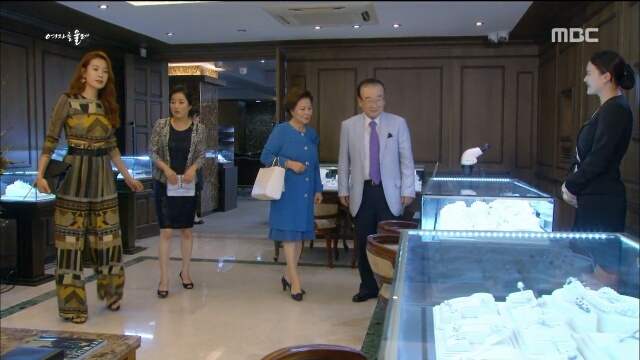 After Hyunbok dons a diamond necklace, they all go to a happy lunch. Calm has resettled among these members as Daddy and Mommy Kang apologize to Hong-Ran for being too harsh on her. Hong-Ran answers that she has a bad memory so she doesn’t remember anything but she will try to be careful in the future. Momma Kang surprises everyone by saying that Hong-Ran should stay the same. After Daddy Kang comes home, we get an emotional meeting between him and Jin-Myung. 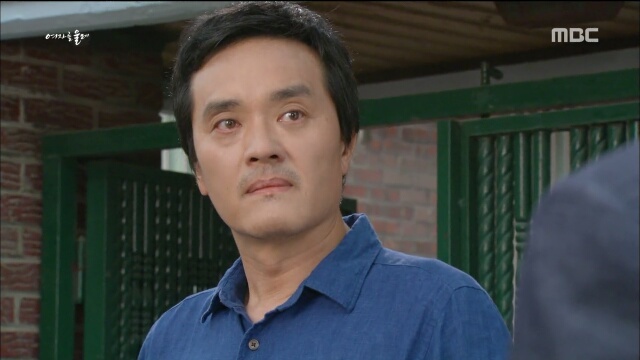 Jin-Myung implies and Daddy Kang knows that Dohyun’s side has painted him as their culprit. Jin-Myung quietly tells his father that he looks tired and anxious these days… But he also adds that he really respects his father for all that he’s done. He ends with the question of if there is anything he can do to assist. Daddy Kang answers that he spent his life relying on Jin-Myung and all he hopes is that Jin-Myung continues to protect the family. The next day, the cop comes back and tells Deok-In that they couldn’t find anything. The wife hasn’t contacted anyone suspicious as everyone has caught on about the investigation. So, Deok-In goes to Eunseo. When Deok-In explains that the cops came up empty, Eunseo snaps that the police are useless. She has already confirmed that the suspect has a large amount of debt while the wife is having an affair. The person that she has watching the two also overheard the suspect fight with his wife about a tape that includes the voice of the person who ordered the killing. Deok-In agrees. She’s figured out that the cheating man has the recording. But he’s decided that instead of handing over the evidence to keep the husband in jail forever, he’d rather take the money. Eunseo agrees that the man will go directly to Daddy Kang soon for more money. Deok-In asks Eunseo for pictures of the wife’s boyfriend. Eunseo answers that she doesn’t get anything by giving her help since Deok-In won’t promise to give Eunseo a chance to deal with Daddy Kang before turning the suspect over to the police. So Deok-In reminds her that the police are stuck; without more evidence, they might close the case as a simple accident. Eunseo hands over pictures which Deok-In gives copies of to Jinwoo. She tells him to try his best to find the man as he will hold the answer to everything. She then gives the pictures to her junior cop. As a short side plot, Jinwoo tells his father that the revenue has increased due to their new product of pretty golf balls. Daddy Kang hugs Jinwoo telling him that he always believed in Jinwoo. With the next scene, the murder subplot gets resolved. The police find the boyfriend and keep him in custody. The cop tells Deok-In who informs Eunseo that the main culprit who ordered the kill was not Daddy Kang… It was the husband of the wife with whom Dohyun was having an affair. Eunseo falls apart and Deok-In goes to tell Jinwoo as well. As she gets up to leave, Jinwoo thanks her for saving his father and family in the nick of time. Then he gets up and pulls her into a hug, repeating that he’s thankful and he loves her. After meeting with Jinwoo, Deok-In goes to meet with Daddy Kang. He also thanks Deok-In for helping as he heard that she helped instead of leaving it to the cops. He also adds that he is sincerely sorry for the death of her son and bows his head. Deok-In freezes and stares at his bowed head. So, Daddy Kang continues that he knows just how important family is… He can understand now that he has taken his desire to protect his family too far… To repent he notes that he’s going to donate their education foundation to the government; he knows their family doesn’t deserve to be a family in education. As he leaves, he notes that it’s a pity she cannot be his daughter-in-law. Eunseo has also come to a decision. She calls Jin-Myung out to ask him to arrange a meeting with her father-in-law. He agrees and she asks if he has no other words for her. Jin-Myung answers that she called him out first. Clenching her fists, she thanks Jin-Myung for always protecting her and apologizes for choosing Jinhan over him. At the same time, Kyung-Cheol packs his bags to go to the hospital. Deok-In comes to get him and everyone pretends not to know the truth. But, everyone tells him to come back… After he turns around, Bok-Rye breaks down and yells out that she loves him. Kyung-Cheol drops his bags and runs back to hug her. She then adds that she’s sorry for making him suffer, thankful that he was born as her son… Kyung-Cheol cries as well that he loves her too. Things are not normal with Eunseo as she seems overly emotional when she tells Hyunseo that she’s leaving. She even tells Hyunseo that he should turn around to see her when she’s leaving but Hyunseo is tired of his mother at this point. Eunseo looks like she’s about to tear up but she goes. She goes to see Daddy Kang and he offers to speak with her outside. Eunseo falls to her knees in front of Daddy Kang and asks him to take Hyunseo back. She also promises to end her relationship with Hyunseo. 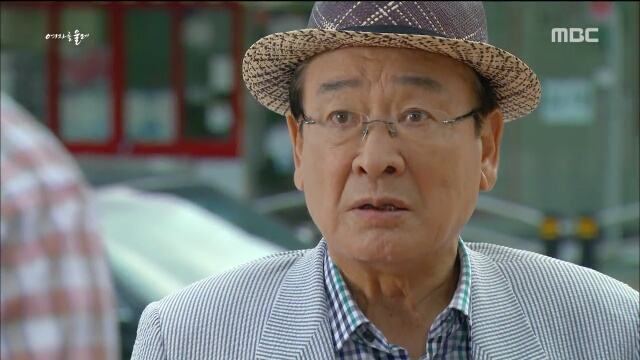 Daddy Kang answers that he would if he can reliably believe that she won’t return to Hyunseo’s life even after he dies. Eunseo agrees and bows again to thank him. Meanwhile, Hyunseo finds a letter from his mother in the kitchen. We don’t get to see what it says but it’s serious enough that Hyunseo calls Jin-Myung for help. 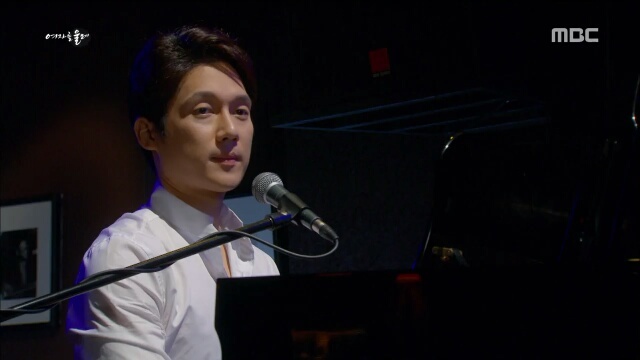 The music turns all dramatic as Jin-Myung tells Hyunseo that he will figure it out. 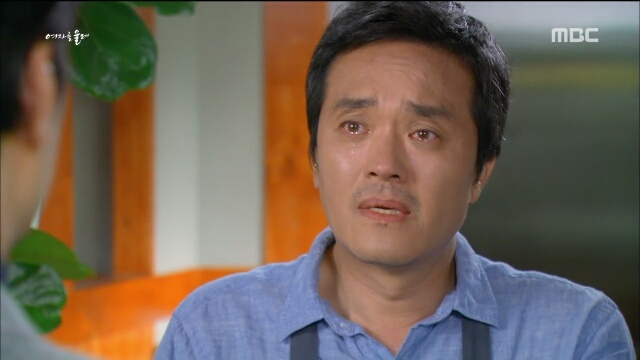 Jin-Myung calls his father who remembers Eunseo’s promise that she can make it so he doesn’t worry. He quickly orders his driver to turn around. Daddy Kang gets out of the car to find the bench empty. He and the driver split up to look for Eunseo. As Daddy Kang wanders toward the river, he finds Eunseo walking into the river… She sees him to and starts walking in faster. Daddy Kang runs in and pulls Eunseo out against her will and crying that she needs to die for Hyunseo to live. But just as everyone is thinking reason as returned, Daddy Kang suffers a heart attack and falls. WHAT THE FUDGE? I didn’t realize that the writer was prone to dramatics. I mean, there are many different alternatives that Eunseo could have done while still convincing Daddy Kang… Such as making it clear that she’s going abroad forever and disappearing with some cash once the plane lands in another country. We really did not have to go the route of attempted suicide by river and a heart attack for Daddy Kang. Finally, the writer did resolve Kyung-Cheol entering the hospital well. We got all of our closure as everyone knows about why he’s leaving and Kyung-Cheol was about to see most of his main worries taken care of before he goes to get treatment. I wouldn’t even mind it if we did a time jump and he comes back healthy and in a recession. >°< After all, for all that I want dramas to be believable in their storytelling, I want the drama to make me feel good after I’ve lived the story. Kyung-Ah’s relationship blossoms as Eunseo begins to sow seeds of doubt into everyone’s mind that Daddy Kang killed Do-Hyun. The story opens with Deok-In asking why Eunseo is telling her this. Eunseo answers flippantly that she wants something from their father-in-law as well…before she can tell Deok-In any more information, she wants Deok-In to promise that Deok-In will give her a chance to face their father-in-law before Deok-In hands him over to the police. Deok-In considers this for a moment and remembers Daddy Kang’s words to live earnestly and well on behalf of her son. She stops Eunseo and tells her that Eunseo should go to the police if she really believes Daddy Kang is guilty. If she only wants revenge, then Deok-In cannot help her. Meanwhile, the Kang family males go off to test out the latest golf balls, which seem no different other than the fact that they have some flowers on them. They agree that the product is amazing and begin to discuss marketing. 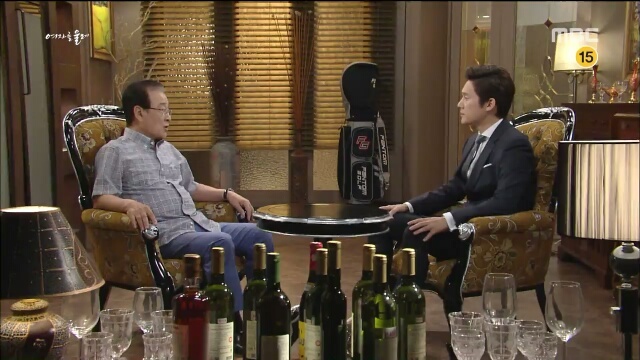 After the golf outing, Jinwoo goes to Deok-In’s restaurant because she called him over. She tells Jinwoo about how Eunseo visited and told her about Daddy Kang being likely involved in the accident. Deok-In explains that if it is true, Eunseo will get to the bottom of it. Jinwoo goes running to Eunseo to demand to know what she’s after. Eunseo answers that she wants Jinwoo and the family to call her and Hyunseo back to the house. She notes matter-of-fact that Daddy Kang likely killed Do-Hyun Baek…She goes off to voice her theory: A long time ago, the three young men went on the boat. Jinhan almost died and everything thought that he had died…Daddy Kang wanted revenge and now that there was a chance that the Baek family was not going to help out the Kang company, Daddy Kang had no reason to hold back. Jinwoo interrupts to note that it was Jin-Myung who killed Jinhan. Eunseo smiles that Jin-Myung was only guilty of not saving his brother…he was not the one who pushed Jinhan into the water in the first place. Jinwoo asks Eunseo if she is trying to ruin their family. Rising up from her chair, Eunseo angrily answers that she only wants her rightful place. Jinwoo realizes that he needs more information. So, he goes to ask Jin-Myung about the incident. Jin-Myung confirms that Do-Hyun was playing with a knife, which caused Jinhan to fall off the boat. Jin-Myung had come out on the deck in time to see Jinhan fall and rushed to the side of the boat where he did not save his older brother…When Daddy Kang found that out, he settled with Do-Hyun’s father for corporate cooperation instead of going to the police. At the same time, Daddy Kang confesses to Jinhan that he thought Jinhan was dead…So, he took the Baek’s money to save their company instead. Daddy Kang asks Jinhan if he is disappointed. Jinhan answers calmly that it was the practical choice and he would have done the same. He sighs that it is a pity that he was alive and Do-Hyun had to die in the end. 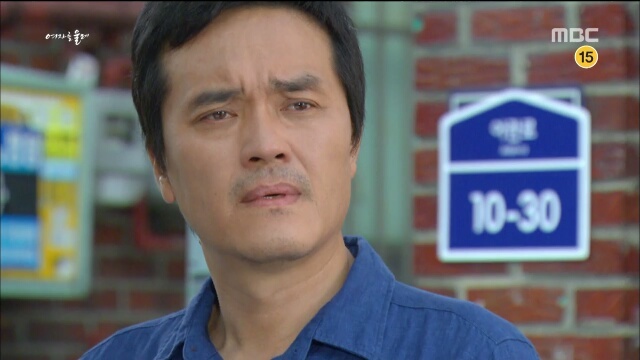 Surprising him, Daddy Kang vehemently snaps that Do-Hyun deserved to die. Unlike all of the scheming at the Kang household, the Hwang household is still finding some good tidings. Kyung-Ah tells her family that her boyfriend’s mother asked her over. Her family agrees that she should go over but Bok-Rye worries about Kyung-Ah going and getting rebuked at the other family’s house. Jinwoo tries to reason with Eunseo again. He asks her how she could have thought that Jinhan and the family would accept her back after kidnapping Jinhan’s wife. Eunseo answers that she doesn’t need either Jinhan or Jin-Myung. All she needs is to become Jinhan’s legal wife. She then goes on to wonder about how the person who got into the car accident with Do-Hyun is suddenly living in a $300,000 apartment…It’s quite suspicious that the woman got money all of a sudden. Jin-Myung brings the new information to his brothers and they wonder together about what they should do. Afterwards, when Jinhan goes into the house, his mother is complimenting Jinhan’s wife’s cooking skills. She then sighs that she misses Hyunseo and decides to go back into her room and brood. Jinhan and his wife go into their room as well. He tells his wife to stop dusting the furniture and asks her if she’s happy. She nods that she is and he pulls her into a hug but his expression is somber. Unable to leave his wife, Jinhan goes to beg Eunseo instead. He notes that he also feels bad about what happened to Eunseo and Hyunseo. He promises to bring Hyunseo back into the house but Eunseo needs to stop now. Eunseo hears this and laughs at her ex-fiance’s naivete. She tells him that she’s challenged her father-in-law; one of them needs to fall. Jinwoo is not a schemer. He goes straight to his father to ask if he was involved in Do-Hyun’s accident. Daddy Kang answers that he was not involved but Do-Hyun deserved to die. Because Daddy Kang answers to vehemently about both his hatred of Do-Hyun as well as innocence, we are all left feeling less than convinced. A sad/funny reprieve is given with Hong-Ran dresses up beautifully to spend some time with her husband. She flutters her nightgown and asks him how she looks. However, Jin-Myung leaves without even answering. Hong-Ran feels insulted and runs after her husband into his study. She orders him to fix his horrible habit of ignoring her and asks what is going on when the family should be settling. Jin-Myung does not answer and Hong-Ran guesses correctly that Eunseo has started her revenge. Meanwhile, downstairs is much quieter. Jinhan’s wife asks him what he’s brooding about and he answers that it’s nothing. So, his wife suggests that Jinhan ask his father and she volunteers to plead with Eunseo. Jinhan suddenly changes the topic and asks her if she’s happy. He notes that sometimes he misses their old life, when they made enough to get by and live each day…They would then spend a lot of their time just relaxing together. His wife answers that she agrees with him; she has only been pretending to be happy. She even adds that she would be happy to return to their life together. The next day, Hasoon takes Kyung-Ah to prepare for the meetign with the family. She’s fussier than the average mother and makes the hair stylist redo Kyung-Ah’s hair several times until she’s satisfied. She even battles Bok-Rye to give Kyung-Ah advice such as not to tell the family that her brother is divorced yet… Honest Bok-Rye tells her daughter not to lie and to show herself as she is; if the family is right, they will accept her. But the more practical Hasoon insists that an omission is not the same as a lie. At the same time Kyung-Tae meets with Hyojung again. He awkwardly invites her on a trip for old time sake but Hyojung apologizes that she’s not the same. She’s moved on. Good news continues as Kyung-Ah’s boyfriend’s family liked her as well! The boyfriend even noted that he wants to come and greet her family. It becomes an emotional scene with Kyung-Cheol slowly stating that he’s so relieved that his little sister found someone nice…and Bok-Rye crying in the kitchen. Hasoon finds Bok-Rye sniffling and Bok-Rye thanks her for introducing Kyung-Ah to such a nice family. Bok-Rye confesses that she has been looking forward to the union as well but she was afraid to be excited in case that something goes wrong. Another day passes and Jinhan’s sweet wife (Hyunbok – we got her name!) asks her mother-in-law’s permission to go bring Hyunseo back. The mother-in-law sighs that she woud not have another wish in life if Hyunseo can return. So, Hyunbok texts Hyunseo to meet. Hyunseo is sweet as usual as he goes off to meet Hyunbok. He then tries his best to make Hyunbok comfortable and it looks like his father. He’s extremely considerate and caring. Hyunbok even asks Hyunseo if he’s not embarassed spending time with her and Hyunseo answers that he’s not embarrassed at all. He brings Hyunbok to their house where Eunseo reacts like a prickly porcupine. Hyunbok hands over a letter in which she asks Eunseo for permission to bring Hyunseo home. Hyunbok notes that Hyunseo is the rightful heir to the Kang family and promises to speak with their father-in-law on Hyunseo’s behalf. Eunseo crumbles up the paper and throws it into Hyunbok’s face. Then she pulls Hyunbok up and physically tries to throw her out. Hyunseo runs out to stop his mother and asks her to respect Hyunbok who is his father’s wife. Eunseo snaps at Hyunseo that Hyunbok is nothing and grits out that she does not want to fight in front of Hyunbok. 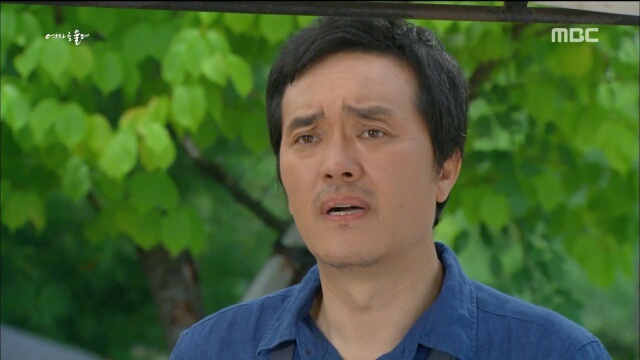 Hyunseo sighs and offers to accompany Hyunbok back home despite his mother’s and Hyunbok’s rejection of the idea. Eunseo finally gets her wish as she gets a meeting with Daddy Kang. He asks her if she really wants to end the relationship between herself and Hyunseo on one side and the rest of the family on the other. Eunseo answers that she’s trying her best not to end their relationship. Daddy Kang tells her to stay quiet then as he’s lived his life and has no regrets. Instead of backing down, Eunseo answers that it might be better for both of them to go to the end; she cannot just live quietly while watching another woman in her place. Luckily for Daddy Kang, Deok-In has connections with the police. Her friend stops by with the excuse that he was in the neighborhood. But as he starts to talk, it’s clear that he’s here to pick Deok-In’s mind. He tells Deok-In that the Baek family’s accident is being investigated because someone called in an anonymous tip that the accident was not an accident. Deok-In notices Jinwoo tensing up and goes to meet with Daddy Kang. She asks him directly if he wanted to kill Do-Hyun for saying something and acting another way. She also notes that she understands Daddy Kang’s anger about losing a child…She asks if Daddy Kang found life empty after finding material success and still not losing the anger about his lost child. Daddy Kang asks Deok-In to stop wasting his time. Deok-In continues that someone needs to find the truth. Daddy Kang replies that it’s fine to find the truth, all they have to do is investigate it further. He encourages her to actively investigate instead of staring at his face. Something about his demeanor convinces Deok-In and she decides to look into it further. Deok-In realizes that the police are having difficulties and goes to meet with Eunseo. She tries see if Eunseo was the one who called in the tip. However, Eunseo’s response convinces Deok-In that it was not Eunseo. She goes to debrief about the situation with Jinwoo who tells her that he’s running out of time. He explains to her that as soon as the rumors get out into the industry, the investor’s confidence in their company will fall. Even if Daddy Kang turns out to be innocent, it will be too late to save the company after everyone turns away. I just realized today that this series ended in Korea, which surprises me. I thought that it was scheduled to be 50 episodes but it ended with only 40. I guess MBC was less than impressed and wanted to move on quickly. This is a pity since I’m really enjoying the drama and can easily see the drama take on another 13 episodes to flesh out the rest of the story by answering all of the open questions. the strained relationship between Jin-Myung and Hong-Ran, which also implicates the question of whether Jin-Myung would ever be able to get over Eunseo. I may have forgotten a few subplots. But just thinking about these highlight the fact that the next three episodes need to be stuffed full of answers and winding-down. I’m actually not sure how the writer would be able to answer all of the larger questions before ending the drama. Eunseo gets kicked out of the Kang residence; Jinhan’s wife is found; and, Jinwoo breaks up with his girlfriend. The episode opens with Eunseo being dragged out of the house barefoot and crying for Hyunseo. Not able to watch the scene, Hyunseo yells that he will take his mother and steps up. The grandmother runs off to grab Hyunseo’s hand and cry that he can’t leave. Hyunseo continues to say his goodbyes and Hong-Ran jumps in before Jin-Myung can say anything. Eunseo glares at everyone and screams that Hyunseo should not leave. But Daddy Kang maintains his position that Hyunseo and Eunseo can leave. So the secretary and driver drag Eunseo out with Hyunseo following with her heels. They get into CEO Kang’s car and get driven to their new prison – a nice house in a nice neighborhood… Not too shabby if you ask me. Left alone, Jin-Myung drinks himself into a stupor. Hong-Ran goes in to discuss the incident as she still feels shocked at the scene. But Jin-Myung yells at her that she won; shouldn’t it be enough? Meanwhile, Hyunseo asks Eunseo to live comfortably now that everything is over. But it’s too late. Eunseo declares that the game isn’t over and she will make CEO Kang pay. The Hwang family is having a better time with Kyung-Ah doing well with her date and Hasoon fluttering nearby. Bok-Rye sighs that she’s still feels so bad when she thinks about Kyung-Ah… Kyung-Ah did not deserve to live with a limp; she just made the mistake of being born to ignorant parents. Hasoon consoles Bok-Rye that a parent’s heart is the same. She wonders about her own parents. Bok-Rye asks her if she was born in the summer and Hasoon agrees, though she doesn’t know her birthday as she doesn’t celebrate it. Jin-Myung goes to Eunseo’s house to demand to know where Jinhan’s wife is. He tells Eunseo that if she returns Jinhan’s wife, his father would accept Hyunseo back. This doesn’t get the reaction that he wanted. Eunseo snaps back that she won’t return Hyunseo now. Next, Jin-Myung goes to console his brother and ask him to return home since Eunseo has left. Jinhan continues to worry so much that Jin-Myung tells Jinhan nothing will happen to his wife; Eunseo has her. Hyunseo also tries to ask about the woman’s whereabouts. Eunseo doesn’t relent even if it’s for her son and they get interrupted by Jinhan and Jin-Myung. So, Jinhan kneels in front of Eunseo to beg her to return his wife. Seeing her ex-fiance kneel in front of her, Eunseo snaps that he can promise to leave his wife in this house and bring her and Hyunseo home… Only then will she let him know. Hyunseo tries asking one more time after his father leaves. When Eunseo doesn’t answer, Hyunseo goes to the medicine cabinet and grabs the sleeping pills. Taking a handful, he almost gets swallows them by the time that Eunseo breaks down and promises to tell everyone as long as Hyunseo stops. 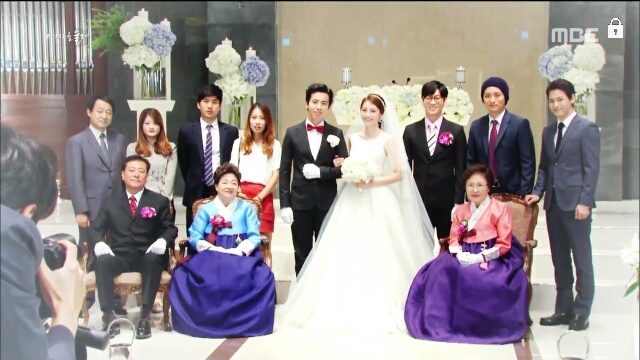 Jinhan’s wife comes home and gets welcomed by the Kang family. Hong-Ran then takes the woman shopping. Always scheming to a lesser degree, Hong-Ran asks the woman to think of Minseo as her son since they don’t have children. After clothes, it’s hair and makeup! By the time that Jinhan comes home, his wife is all dolled up and waiting for him in his childhood home. With heavy steps, Jinhan walks back into his memory and hugs his wife. Hong-Ran does her signature gloating by stopping by Eunseo’s place. (I’m starting to think that none of the women in this drama have friends!) Hong-Ran continues to sigh that Eunseo’s fate is pitiful since she ended up getting kicked out just because she doesn’t have a single legal document to back her claim. But Eunseo insists that she didn’t lose the game, CEO Kang did. Jinhan’s wife integrates easily into the family and even gets praise for preparing dinner. Jinwoo stops by to see his older brother and we get another emotion filled reunion that lacks much emotions… As we didn’t see how Jinhan suffered. But the actors try their best. The next day, luckily for Hasoon Deok-In has prepared seaweed soup. (Seaweed soup is what Korean people eat for birthdays.) Hasoon starts thinking about her own mother and starts to cry believing that no one knows it’s her birthday. 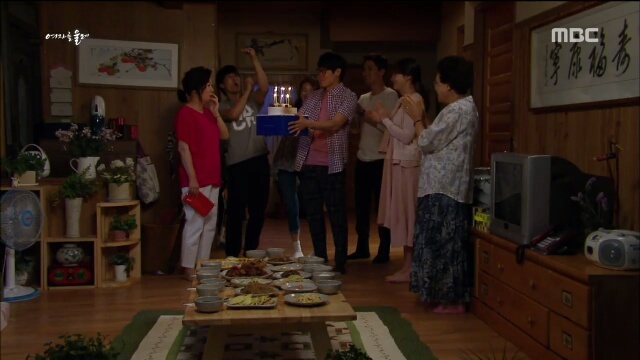 What Hasoon doesn’t know is that the Hwang family and Deok-In all prepared to give Hasoon a surprise party. Bok-Rye cooked a bunch of delicious dishes, Deok-In bought a present, and even the Hwang siblings went shopping for Hasoon. Hasoon walks in thinking that she will just get another meal from Bok-Rye and walks into the surprise celebration. 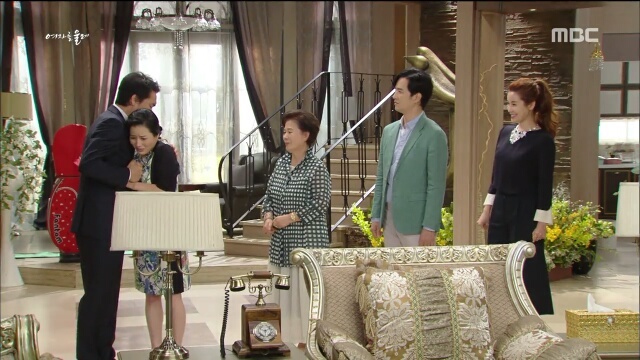 Kyung-Cheol hands over a ring that he prepared for Hasoon and even calls her mother-in-law. The siblings bring out a hundred roses and perfume, which Hasoon gleefully accepts. 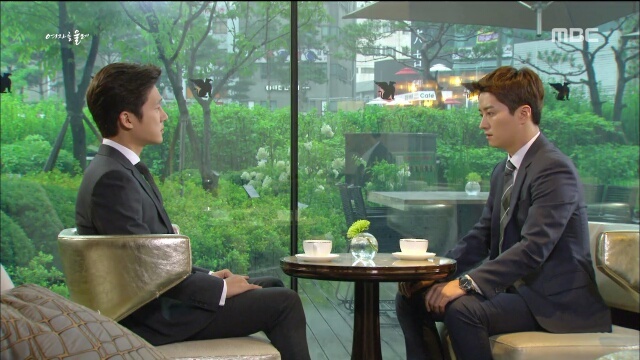 Jin-Myung goes to discuss his role in the company now that Jinhan is back. His father tells him that Jinwoo will take over the company and marry Yaejung. She’s young enough that she can still have a child after they get married, which is why he doesn’t need Hyunseo anymore. Afterwards, Eunseo comes to organize her affairs with Jinhan and his wife awkwardly standing in the living room. Hong-Ran arrives in the knick of time and comforting pulls Jinhan’s wife away. Left alone, Jinhan asks Eunseo to meet with him for a couple minutes after she organizes her affairs. Eunseo isn’t dead as she goes to snarl at her rival in the kitchen. She tells Jinhan’s wife that the kitchen is her territory and Jinhan’s wife is the trespasser. In the garden, Jinhan asks about Hyunseo. Eunseo doesn’t answer and just asks whether Jinhan remembers his son now that his beloved wife is home. She even adds that he’s going to regret his naive decision; it’s not easy being the daughter-in-law of a chaebol family. 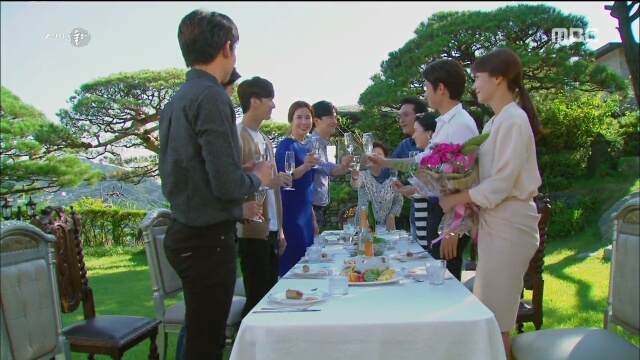 While the family might be welcoming right now, when time passes his wife’s faults will be more apparent to both the family and everyone else in the chaebol circle. With a last sigh about how she was involved in every part of the garden to Jin-Myung, Eunseo leaves. Jinwoo comes home to be told to set a wedding date with Yaejung. Jinwoo tells his father that he only came into the family to save it from bankruptcy and will leave after the new product line launches. Jinwoo then calls Yaejung out and tells her that she has no interest in marrying her. Yaejung asks if he has another woman. Jinwoo answers that he loves someone else even though it has come to a point where they cannot be together. 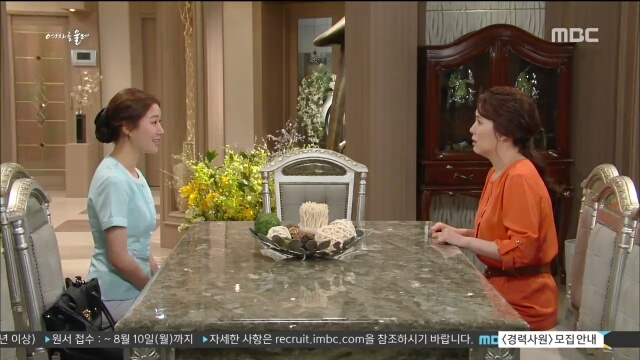 Yaejung accepts Jinwoo’s sincerity and tells her father. The word quickly gets to CEO Kang who calls Jinwoo over to ask if he cannot get over Deok-In. Jinwoo confirms that he isn’t over her. So, CEO Kang reminds him that Deok-In’s child died because of Yunseo and Yunseo us currently lost because of Deok-In. Jinwoo answers that Deok-In will be the last woman in his life. CEO Kang goes to ask Deok-In to let Jinwoo go. He tells her that she must have done something that gave Jinwoo hope; isn’t it enough that Yunseo is lost? Deok-In answers that CEO Kang has no right to talk to her like this. She noted that CEO Kang is the reason that Yunseo turned out the way he did and so many children had to suffer at his hands. CEO Kang replies that if Deok-In feels frustrated, she should work harder, make more money and give her children a leg up. It’s in this atmosphere that Eunseo calls Deok-In out. She tells Deok-In that she is only here to give Deok-In a chance to get CEO Kang to apologize; he caused someone else’s death but none of the police have an incentive to investigate the case thoroughly. So, she came to Deok-In. Somewhere along the way, this drama lost its self. It went from being about Deok-In’s journey in finding herself and finding love again to be a Royal Family-esq drama about the Kang family. I’m not complaining as I find the development and the focus on the family drama completely fascinating. However, when I take a step back (like a busy week of work), I realize that the drama has come far from the theme that it started with. Returning to the specifics. Hyunseo’s threat with the medicine was cliche and an anticlimactic end to the Eunseo kidnapping Jinhan’s wife arc. Additionally, I think that by cutting the arc short, the writer shortchanged what could have been a deeper delve into Jinhan’s character. Jinhan really didn’t do anything. Instead, the writer should have taken the opportunity to have Jinhan look in his hometown (the hometown after his accident) and shown us the life that he led outside the Kang family house. Is his accident just a plot device to provide conflict between Jin-Myung and Eunseo? Currently, it serves no more purpose than that with Eunseo’s quick capitulation. Eunseo. Eunseo. Eunseo. What an interesting character. She continues to crawl on the bottom in this episode. She currently has a fully paid lovely and spacious house compliments of the Kang family. Instead of leveraging the fact that her son is now healthy and she could possibly turn to building her own business empire, she has no costs after all, she focuses on this revenge aspect against the father-in-law. While, I had been feeling a bit sympathetic to her plight in the last episode, that sympathy disappeared in this episode. The type of house that the Kang’s put Eunseo in would cost a note insignificant amount. Even though the Kangs did play Eunseo’s hope for Hyunseo, it was a risk that she was willing to take that she would lose… And it’s not like she left with nothing; she has the house and her family received a building. Finally, I turn to Jin-Myung, whose character definitely received the short stick. Yet, his character maintains its continuity even if it doesn’t get any development. He started off as a naive child who lost his love to his older brother. He was naive enough to believe that living a shadow forbidden love life with his sister-in-law at the expense of a peaceful marriage and family life with his son is worth it. 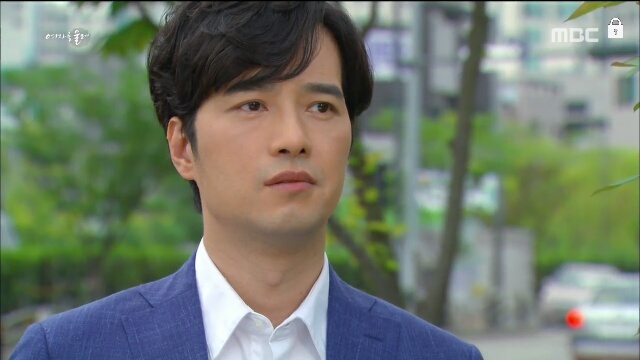 In the last two episodes, he has to face the truth since he sees that for all that Eunseo said that she would think of Jin-Myung when she dies, she can throw him away in a heartbeat when she believes that her real husband is alive…that Eunseo is the type of woman who would easily suggest that they kick Jin-Myung out so that Jinhan can come home. I would be more sympathetic but he partially did it to himself. He had the choice to make the best of his life when he married Hong-Ran and had a son. However, even Hyunseo said it; Jin-Myung was especially hard on Minseo so that Hyunseo did not fall into the shadow. Jin-Myung chose his not-family of Eunseo and Hyunseo. His character deserves the heartache it must feel when he realizes that all he was doing was building a shadow. When Jinhan refuses to come home without his wife, the Kang family realize that they underestimated the relationship between the couple. Eunseo starts to lose it at the offense that this woman could mean more to Jinhan than herself, Hyunseo and the house. So, she turns on Jin-Myung and the rest of the family turns on her. Jinhan stands firm that he just wants his wife as she was the one who has been with him after the accident. He notes that Jin-Myung had the chance to save him but did not when Jinhan reached his hand out. He turns to leave and ignores Eunseo’s pleas to return. Jin-Myung walks over and kneels in front of Jinhan asking for his forgiveness. Jinhan repeats that he wants his wife back and leaves to go up to his studio. Eunseo returns home in a fit and then tells Jin-Myung to leave. She declares that this would be the only way that Jinhan returns since Jinhan does not want to live in the same house as them together. Hong-Ran walks in on this and angrily stomps over to yell at Eunseo for being ridiculous. This doesn’t faze Eunseo who leaves with her nose in the air… A pitiful heartbroken Jin-Myung left behind. Hong-Ran follows Eunseo to ask how she could be that way to Jin-Myung who lived his life protecting her. Eunseo snaps back that Hong-Ran should try living without a husband. Cue ice treatment and Hong-Ran calling Jinhan in front of Eunseo. She manages to get out that Eunseo made her married life hell by seducing Jin-Myung all the time and even lead to Jin-Myung and Hong-Ran almost divorcing. Eunseo grabs the phone and tosses it to the ground. But Hong-Ran has the last word, she reminds Eunseo that Jinhan won’t come here without his wife. We get the complimentary business scene where Jinwoo does his market research by checking out one branch office and asking the manager what customers demand. 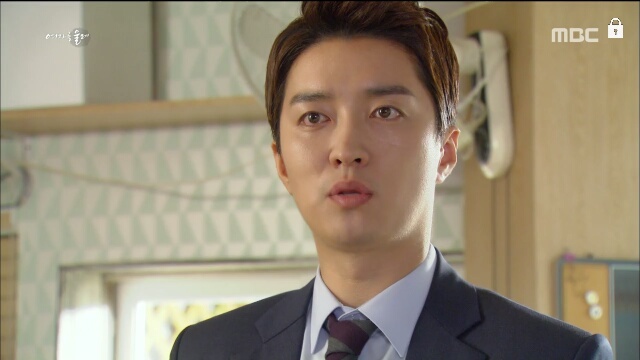 He reports the same to CEO Kang who tells Jinwoo to speed up the the engagement with the teaching girl (Yaejung). 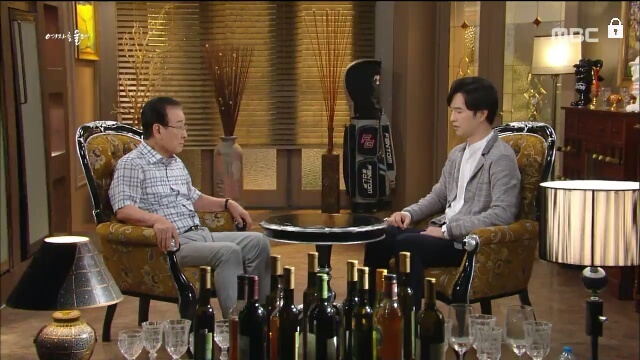 Jinwoo asks his father for more time as Yaejung’s father might invest without the marriage if they succeed with the new product. CEO Kang answers that timing is important in everything including marriage. Yaejung spills the news to Deok-In when she stops by for lunch sighing that Jinwoo probably has no heart for the engagement due to Yunseo. Deok-In cuts her finger in shock but laughs it off. She runs out when Jinwoo arrives to ask him about Yunseo. Jinwoo answers that he thought he understood her pain about her son in the past; but, now he realizes that he was only feeling it in his head and not his heart. He notes that not knowing if Yunseo is alive makes him really understand the pain of losing a child. Later, Deok-In has a walk with Kyung-Cheol. He tells Deok-In to forgive Jinwoo and Yunseo so that she can be happy again. Deok-In let’s him know that she’s lost the chance to forgive him as he’s about to get engaged. Meanwhile, at the Kang residence another family meeting ensues. The father hears about Jinhan’s wife leaving and asks if it was Eunseo. Momma Kang jumps in that she was the one who asked. Eunseo also adds that the reason that Jinhan isn’t coming home is because Jin-Myung is still at the house… Jinhan has remembered that his little brother let him die. Everyone freezes in shock that Eunseo would suggest kicking Jin-Myung out. Having come down to hear the last part, Hyunseo interrupts to take Eunseo away for a chat. In her room, Hyunseo yells at Eunseo for turning on Jinhan who had protected them for so long. He even emphasizes that Jin-Myung was so cruel to Minseo because he was afraid the healthier child would take the spotlight away from Hyunseo. Eunseo snipes that Jin-Myung was the reason they needed his protection in the first place. But, Hyunseo reminds her that she knew about Jin-Myung’s role earlier on and did nothing; she’s just changed her tune because Jinhan is alive. Thoroughly disappointed, Hyunseo snaps that his mother is a selfish being who doesn’t truly love anyone including himself and leaves. A moment of truth occurs for the rest of the family who all know Eunseo’s true self now. Even Momma Kang sighs that she wrongfully hated on Hong-Ran when Hong-Ran was probably responding to Eunseo. Daddy Kang tries to fix the problem by going to Jinhan himself. He asks Jinhan to forgive Jin-Myung who has lived the rest of his life in repentance, protecting Eunseo and Hyunseo. He even adds that Jin-Myung has done nothing that would be a sin against Jinhan. Jinhan answers that he cannot return without his wife. Momma Kang asks Eunseo to give up so that Jinhan can return. She apologizes that she cannot do what Momma Kang is asking and goes to see Jinhan. She demands to know what she did so wrong. She reminds him that he was the one who knew that Jin-Myung liked her but still stole her from Jin-Myung. Breaking down, she cries for him to remember how he loved her so much that he was willing to go against his brother. Jinhan answers that his memories have all returned but she’s changed. Eunseo’s tears disappear and she tells Jinhan that he can continue to love his wife from her side; she still needs him. Daddy Kang broods for a little longer and then calls Hyunseo down. 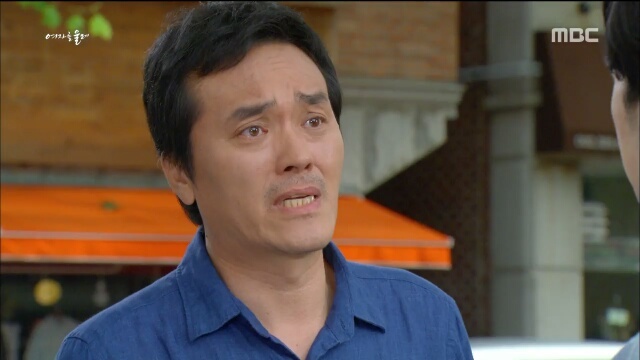 He tells Hyunseo not to forgive him as he needs to bring Jinhan home. 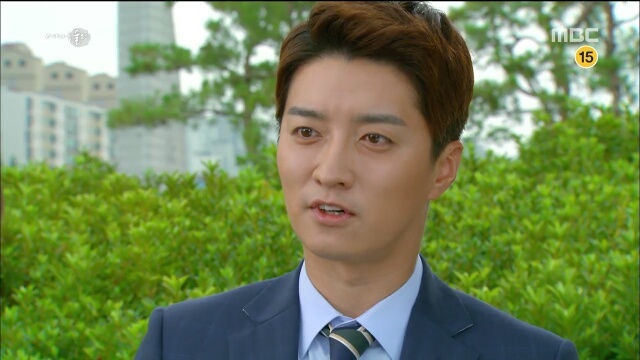 The very next day, CEO Kang tasks his secretary to finding Jinhan’s wife. Hong-Ran hears about this and runs to Eunseo to gloat. Eunseo goes to ask her son if he would never abandon her. Hyunseo sighs that he thinks there is nothing he can do at this point. Meanwhile, Hasoon continues on with her matchmaking. She asks Bok-Rye about a young man who’s the son of the owner of a vegetable shop, who even has land in the suburbs! Bok-Rye looks interested until she hears that the other side has not heard about Kyung-Ah’s limp. The next day, Kyung-Cheol stops by to thank Deok-In for Hasoon. He explains that he had been worried about Kyung-Ah the most. But now that Kyung-Ah and Kyung-Soo seem to be finding their places, he’s relieved. He also comforts Deok-In that good times will come for her as well. A philosophical debate occurs at dinner where Hasoon tells Deok-In not to rush anything. When the time comes, Kyung-Cheol will go to the hospital voluntarily. Hasoon continues on with her perspective on life that no will give you anything for free if you cry so you might as well laugh. Deok-In smiles that she’s glad she’s not alone right now. Meanwhile, Eunseo paces around before calling someone. She reminds the person to take the woman’s cell phone as well. The other person answers that they lost the cell phone. A stranger finds a the cell phone on the street and calls Jinhan. He runs over to take the cell phone back and has it when his wife’s friend calls to ask why she’s not home yet. She tells Jinhan that his wife went out to meet Eunseo but never came back. So, Jinhan goes to ask Jin-Myung for his help getting his wife back. Jin-Myung goes home and yells at Eunseo about letting Jinhan’s wife go free. She pretends that she doesn’t know anything as she had planned to meet the wife but never saw her. Jin-Myung grabs her and yells at her that he won’t protect her if she continues like this… Doing what a human should not do. Eunseo repeats that she doesn’t know. Daddy Kang hears the same thing and rushes home. He asks Eunseo where Jinhan’s wife is. Eunseo pretends not to know anything. So, Daddy Kang tells Eunseo to leave and take Hyunseo with her. Eunseo refuses so Daddy Kang calls in his secretary to drag Eunseo out. The secretary tries to grab Eunseo’s arm. She pulls away and slaps him. Glaring at the secretary, she yells that her son is alive and her husband is as well. When they inherit the company, she will fire them. However, at one gruff back from the CEO, the two staffers pull Eunseo out against her will. Thus, Eunseo hits rock bottom. She has slowly but surely begun to lose her mind if you ask me. In the beginning, everything she did was so that she could increase her son’s chance of inheriting the company. But, somewhere along the way, when she started to make too many enemies, she began to focus on her pride. Her manipulations for Hyunseo turned into a zero-sum war against Daddy Kang. That’s where I think the breaking point was. I have to note that while I think giving Eunseo power over the company is dangerous, I do understand where her anger stems from. She worked like a maid in that house for over two decades. The parents knew that she wasn’t just doing it out of the goodness of her heart. So, by cutting her off with likely just a house and a stipend, Eunseo loses everything that she had hoped for. Rather, it might be a more fair exchange for the family to give Hyunseo one or two branch shops. Something that she can’t leverage into a takeover but still gives her power to take care of herself and Hyunseo without having to rely on the Kang’s generosity. It probably goes without saying that Kyung-Cheol’s character has done a remarkable change. The actor playing him should also be commended since he’s taken his role seriously. Kyung-Cheol looks sickly thin like he has difficulty eating, which he does. He also changed the cadence of his speech to mimic how people who are sick or on medications might speak slower due to the influence of the strong medications clouding their thinking. It’s heartbreaking to watch but he does it well. Finally, I never thought of it but this drama really does a good job in emphasizing how human everyone is. Jinhan is a victim. However, Eunseo is correct in her accusation that even if he was younger, he probably had an idea that his little brother liked her. He was willing to take her away from Jin-Myung and live in the same house, where Jin-Myung would have to see his first love as his sister-in-law every day. Again, I have to admit, Jinhan takes after his father the most and would have been the perfect heir to the company had he not gotten into the accident. Jinan starts remembering everything and piecing together his past with the wisdom of his years. He remembers his mother, who decides that the best thing for her family is keeping Eunseo with a grandson rather than a mute woman. Feeling pressured, Eunseo attacks Jinhan’s wife with a strong charge. Jinhan’s wife leaves. Later, Jinhan calls Jin-Myung out and waits as he repeats his memory of telling Jin-Myung to back off in their childhood. When Jin-Myung arrives, Jinhan tells Jin-Myung to take care that the rest of his family does not bother his wife as Eunseo has already come by. Jin-Myung asks if Jinhan remembers anything. Jinhan replies that he decided that he decided his memories were not worth remembering. Immediately, Jin-Myung asks Jinhan to forgive him. Jinhan again answers that he does not remember anything… He adds, even if he did, unless Jin-Myung was able to return 25 years of his life back to him, he shouldn’t be asking for forgiveness. At the same time, Eunseo goes to the hospital where she slaps Hyojung and demands for the head of the department. As the department head arrives, Eunseo demands to know if Hyojung is happy after lying about Kyung-Tae as her brother. The department head arrives and begins by telling Eunseo that all young people have relationships. However, Eunseo snaps that Hyojung lied about her boyfriend and seduced Hyunseo so that they can get a luxury car out of it. She accuses Hyojung of wanting Hyunseo to die. Hyojung is unable to answer, because she was stupid and did not come clean when she should have… When Kyung-Tae first said he was her brother, she could easily have said they are ex’s and Kyung-Tae. Is a jokester. Instead, she runs away sobbing. Someone calls Hyunseo to tell him what happened. Meanwhile, Jin-Myung asks Eunseo what she had said to Jinhan’s wife. He adds that he thinks Jinhan’s memory has returned but Jinhan still refuses to come home. At the same time, someone calls Jinwoo to tell him that Yunseo has disappeared. He tells his father who asks if he expected anything else. Yunseo is a human being, just because you ship him off somewhere does not mean he will stay there. Eunseo visits Jinhan and asks if Jinhan is angry at him. He notes that she thought he was dead, so who was she waiting for. He also tells her to leave before his wife returns. Eunseo asks if Jinhan is misunderstanding her relationship with Jin-Myung but Jinhan answers that he doesn’t remember anything. Jinhan’s wife returns and pauses a few feet away. Jinhan leaves Eunseo and pulls his wife away to grab lunch. Eunseo does not give up and calls out Jinhan’s wife. At a cafe, she tells the wife that Jinhan’s memories have returned and the only thing holding him back is the wife. She warns the wife to leave before she becomes a burden on Jinhan and he starts to hate her for it. The next day, Jinwoo’s fling eats at Deok-In’s place and tells her about Yunseo’s disappearance. Jinwoo has gone abroad to look for Yunseo and is supposed to return that night. After he leaves, Deok-In wonders how she understands the pain Jinwoo is feeling. A voice-over tells us that she wants to apologize but she cannot for her son. The next day, Momma Kang demands to see Jinhan. She sees a bunch of civil service workers trying to confiscate his cart for illegally selling the pastries on the street. Momma Kang tells at the workers, shaming them for obeying the letter of the law instead of the spirit. They leave and Momma Kang sobs that her son does not remember her. She takes him to a nice restaurant for lunch. After which, as she turns to leave, Jinhan calls out for his mom. She runs back and hugs him close. He starts to cry as he notes how much she’s aged. 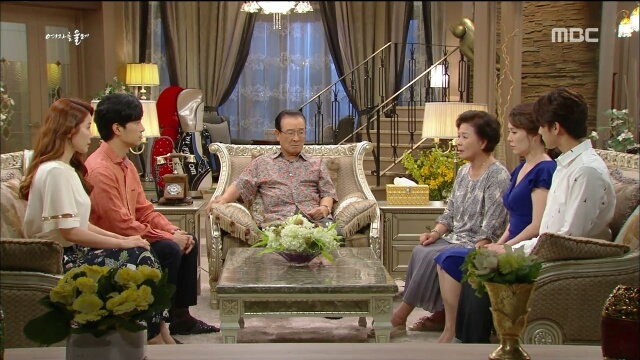 The Kang family holds another meeting at Momma Kang’s demand. She wants Jinhan home no matter what it takes even if both of his women have to live in the same house. Hong-Ran tried to maneuver and asks Eunseo what she thinks would be best in this situation. Eunseo gets up and excuses herself with Hyunseo following. Hyunseo tells her that they should just get a separate apartment but Eunseo reminds him that if they get a separate apartment, it’s the end for their relationship with this family. This causes Hyunseo to ask how she could treat Hyojung the way she did when she relies on him this much. Eunseo snaps back that even if she loses the fight against the Kang family, she can still follow Hyojung around making her life miserable. She warns Hyunseo not to go around saying he won’t inherit the company. Meanwhile, Deok-In tells Kyung-Soo about Kyung-Cheol’s illness. He goes home in a somber mood and wonders off into Kyung-Cheol’s room to snap at his little brother for working late at home. However, he stops from telling his little brother that he knows the truth. Not realizing that his older brother knows everything, Kyung-Cheol wonders out loud how he has never apologized to his brother. He laughs that his drunken father used to try to beat him up for studying and only Kyung-Soo stood in the way of their father’s rage and Kyung-Cheol…Reflecting on the past, Kyung-Cheol tears up and thanks his older brother. He tells Kyung-Soo that he wants to be born as Kyung-Soo’s little brother in the future as well… Kyung-Soo realizes that it would be better not to say that he knows and just pretends that he has no idea. Even as he wipes away his own tears, Kyung-Soo notes how that he has always been proud of his little brother. At the same time, Kyung-Ah obtains her cosmetology license. Jason suggests that they all go to a karaoke place to celebrate and the Hwang family and Deok-In agrees. Haoon sets off the atmosphere by singing first a fun song and even Kyung-Cheol is in the mood as he knows his time with his family is limited. Deok-In cheers from the side with Kyung-Soo…The two are the only ones that seem to not be enjoying the night as much as the others as they know the truth about Kyung-Cheol. AHHHH. JUST TAKE THE MONEY AND AT LEAST TRY FOR TREATMENT! Back at the Kang house, Momma Kang decides that she cannot leave everything in the hands of the children. She decides that the resolution is by getting rid of the new wife…If she gets rid of the new wife, Eunseo will live a nicer life since she does not feel like she has to scheme anymore as her husband will be home. So, Momma Kang calls the wife over to a fancy restaurant. The woman gives a full bow in greeting to her mother-in-law as Eunseo watches politely. Over tea, Momma Kang thanks the woman for taking care of Jinhan and asks in a barely veiled way that the woman leaves so that Momma Kang can see her son return to the family…to Eunseo since Eunseo is the mother of her grandson. Momma Kang even notes that she will pay penance for this sin after she dies. Jinhan’s wife got the message. She goes home and starts packing away her things. Jinan sees her organizing things and has no idea…even as she reminds him about where their important documents are, he just tells her that it does not matter if he knows where the documents are as long as she knows…not knowing that she’s packing to leave him. At the same time, she sends a text to Eunseo with her address. Eunseo takes Jin-Myung and they go off to find Jinhan… They find Jinhan standing in shock outside his apartment. Jin-Myung wonders out loud where Jinhan’s wife would have gone. However, Jinhan turns his fury against Jin-Myung and Eunseo. He warns them that he asked them to leave his wife alone…He asks Eunseo what she said to his wife. Eunseo notes that she only said what was necessary. Eunseo replies that Jinhan needs to face reality and come home. In his fury, Jinhan yells back that he has no reason to return to the house where Eunseo and Jin-Myung are living together. He notes how he reached out for his little brother and Jin-Myung left him to die… He reminds them that they were the reason that he lost 25 years of his life and demands that they help find his wife. The thing that I like about this drama? We are around 7 episodes away from finish and I am still excited by every episode. Every episode develops more of a plot that I want to know more about. Here, we see that Momma Kang cannot be underestimated even though her screen time was short. She reacts well to Eunseo’s threat by deciding that Eunseo would be an asset to her family and decide to play the evil rich mother-in-law that asks the “sweet” wife of her son to leave for the sake of her son’s future… I was shocked to say the least that this happened. However, before I could get furious, I was calmed down by how Jinhan responded. I loved that he went straight to the elephant in the room and accused Eunseo and Jin-Myung of having a relationship more than brother-in-law and sister-in-law. This was a cold splash of water. Past Korean dramas have flirted with the taboo of becoming step brother and step sister. But not many have flirted with the idea of a romance between sister-in-law and brother-in-law…The only thing that I can remember is My Sister-in-Law is 19. Here, we see how the taboo played along. We see the wife of the brother-in-law fight back and get cornered by both of the perpetrators’ individual threats that she should let it go or risk being interned in an insane asylum…Jin-Myung both to protect his first love and also practically speaking since his father would protect the family image…Eunseo who would do it manipulatively for self gain if Hong-Ran got into her way… But the best part is that we see there is a hidden card. Jinan returns to the scene as a wiser man who had to live 25 years of his life surviving a scrappy life. He has had to deal with limited resources and living off of the kindness of others. As a result, when he remember his past memories, he perceives the subtle cues that he missed as a brash young man. It’s so satisfying that the subtle accusations that Jinhan throws gets verified due to Jin-Myung’s and Eunseo’s jumpy consciences. Finally, I’m glad that this drama has given us at least one pillar of humanity. Jinhan’s reaction of pure anger at Jin-Myung and Eunseo for being terrible human beings that are focused on their selfish needs was enough to keep me from tossing my laptop. It was like the dramatic trumpet of “hey, guys…this whole family drama is made up and you just just ruined someone’s LIFE for it!” Again, great episode! Triple treat to get over hump day! Deok-In ends up cooking for Jinwoo and his new girlfriend. The Kang family inundates Jinhan…and Eunseo tries to intimidate his current wife but gets caught by Jinhan himself. Hyunseo stares at his father with tears in his eyes while Jinhan stares back anxiously. Hyunseo calls Jinhan “Father” and and Jinhan asks the two to wait for him in a cafe because his wife is coming. He explains that he is shocked and has not told his wife yet. 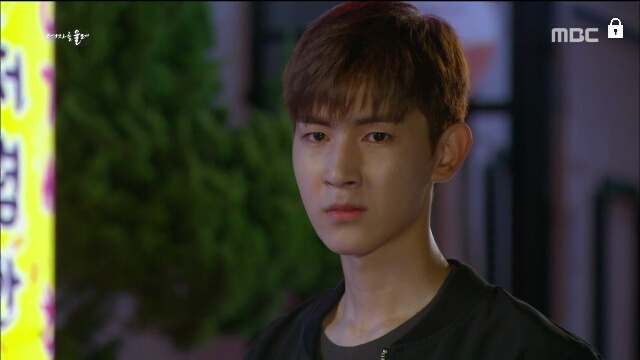 Eunseo glares while Hyunseo apologizes and pulls his mother away. Jinhan tells his wife to take over the cart while he takes care of business before returning. At the cafe, he tells the two that he is ecstatic to find his family. However, if finding his family would hurt his current wife, he does not want it. Eunseo asks Jinhan if he doesn’t feel sorry to his son who had to live while watching other people’s perspectives his whole life… Taking care not to anger anyone in a house without his father. Jinhan apologizes and asks for their understanding. He asks them to leave today and give him time. As they walk off, Jinhan asks to hug his son and apologizes for the state that he is in. Meanwhile, the new teacher comes in and asks if Deok-In cooked the side dishes that she requested. She explains that she invited the person whom she likes because the restaurant’s food is better than most restaurants. Jinwoo arrives and Deok-In ends up serving her ex-fiance and his current fling. Ah Deok-In, it is like your fate was to serve others good food. Deok-In does not show familiarity and Jinwoo stays polite as well. The girl even puts some food on Jinwoo’s rice but relents when Jinwoo comments that he can eat his own food. Unable to take it longer, Deok-In walks out of the restaurant. After they finish, the girl returns to her school after reminding Jinwoo to buy dinner. Jinwoo asks to talk and they go to the park. Jinwoo apologizes and Deok-In answers that she did not expect him to die alone; and, the girl is cute and bright. She confesses that she doesn’t not feel anything but she wants Jinwoo to be happy. Jinwoo wonders how they became like this. Wow, a mature couple. Deok-In answers that Jinwoo wanted to do everything for her, but she became someone who cannot accept anything from him. She also adds that she is happy that she can at least see him every day because he comes to the school to see the other woman. Deok-In gets up to leave. Jinwoo stops her and asks her to leave with him to somewhere else as all he thinks about all day is her. Deok-In responds that he knows those words mean nothing before leaving. Meanwhile, Hasoon arrives at CEO Kang’s office. She explains that Kyung-Cheol has cancer but can’t even get surgery because they don’t have money… She begins to stutter about the money but then remembers Deok-In’s threat to commit suicide if her mother brings home the money. She gets up. CEO Kang calls his secretary and Hasoon yells that she did not want the money. She came to let him know that he cannot look down on them just because they’re poor…and she leaves. At the same time, Jin-Myung meets with Jinhan in another cafe. He asks his brother to return home. Jinhan answers that he will go to give his formal greetings but he cannot go back into the house where his wife will be hurt. Jin-Myung answers that Jinhan’s wife will be welcomed home. But Jinhan stands firm that he cannot leave his wife… Yet, he cannot ask his family to kick out the woman who gave birth to his child. He adds that his wife would be the type to offers to leave if she found out and he does not want to burden her. Finally, he adds that he’s happy as he is. Jinhan brings his wife pizza and pretends that he was only left for pizza. His wife asks if there is anything going on but Jinhan smiles that nothing is going on. Afterwards, Jin-Myung demands to know why Eunseo went off to see Jinhan with Hyunseo without giving him time to accept his new family. Eunseo answers that Jinhan will end up accepting the facts that he has a great family, a son and a beautiful wife. She notes that she can easily win over a mute woman. Jin-Myung asks how Eunseo can act so thoughtless. Eunseo smiles that she is just saying the facts, wouldn’t Jin-Myung return to her over a mute woman as well? Jin-Myung answers that he wouldn’t and warns that she should leave before she is kicked out. Eunseo smiles that no one can kick her out. As for her father-in-law, he cannot do anything after the sudden accident. Jin-Myung angrily yells at Eunseo for threatening his whole family and she walks out. That evening, CEO Kang offers to deal with Eunseo so that Jinhan can come home. Eunseo answers that she will not leave without Hyunseo. CEO Kang replies that she shouldn’t think he’s an easy opponent and warms that he has already lived a long time; he has nothing to lose. The next day, Deok-In prepares lunchboxes for Jinwoo’s picnic with the new girl. The other girl comes and picks up the boxes before leaving with Jinwoo. Deok-In nods to Jinwoo but the two don’t take time to speak with each other. So, Deok-In begins a voice-over that she has lived another day…where she hasn’t moved and she wonders how long she is going to live. The next day, Hyojung congratulates Hyunseo on his recession. She tells him that he no longer needs her and leaves. Hyunseo runs out and yells that there was one thing he wanted to do once he was fully healed. He asks Hyojung to marry her as he doesn’t care if she’s not related to Kyung-Tae. We don’t hear her answer as the scene changes to Hyunseo speaking with Eunseo. Shocking her own son and us, Eunseo agrees. She tells Hyunseo that she cannot have everything and reminds him that she only has Hyunseo. Hong-Ran hears that Eunseo gave permission and tells her about how Hyojung is not related to Kyung-Tae. She runs up to tell Hyunseo that she does not approve of the marriage. Hyunseo answers that he will marry Hyojung and if she stops her, he will tell his grandfather that he does not want to inherit the company. Eunseo slaps him and Hong-Ran runs up to tell Eunseo not to hit his son. 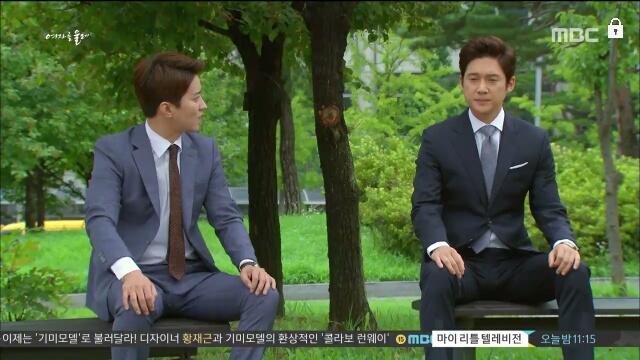 At the same time, Jinwoo meets with Kyung-Cheol and offers to cover his medical costs. Kyung-Cheol answers that he doesn’t want Jinwoo’s money… He is only willing to let Jinwoo run away with Deok-In for Deok-In’s sake. He leaves and goes to take his brother to a Fantom shop. Some nice product placement for the main sponsor, I presume, while we get to see some brotherly love. Kyung-Cheol forces his brother to try on some clothes as he never bought anything for his brother before. At the same time, Eunseo meets with Jinhan and begs him to remember her. She asks him tearfully to return to her and Hyunseo. Jinhan asks how Eunseo could have given birth to his son when he was gone. Eunseo answers that it was because it was his last gift to her and she remembers everything about him. Jinhan replies that the person that Eunseo remembers is a stranger to him. He even adds that he cannot return to Eunseo even if he did remember her as the only one in his life now is his wife. Eunseo asks what she is supposed to do but Jinhan does not answer. Meanwhile, Hasoon goes over to Bok-Rye’s place again where she worries about how Kyung-Ah needs to get her cosmetology license and Kyung-Tae should not have quit his job as a manager. Bol-Rye gets annoyed that Hasoon berates Kyung-Tae’s wastrel habits and snipes back that Hasoon should wear less makeup. Hasoon just sighs that she will buy less makeup to save money anyways. The next day, Deok-In tells Kyung-Cheol that she wants to tell his family. He tells her not to and stands firm that he does not want to waste money on surgery. Deok-In yells back if he wants her to take the money from the Kang family. She tells him that she will find a way to get the money. Looking hurt, Kyung-Cheol yells at her back. He tells her that he does not want to die relying on her and stomps off. 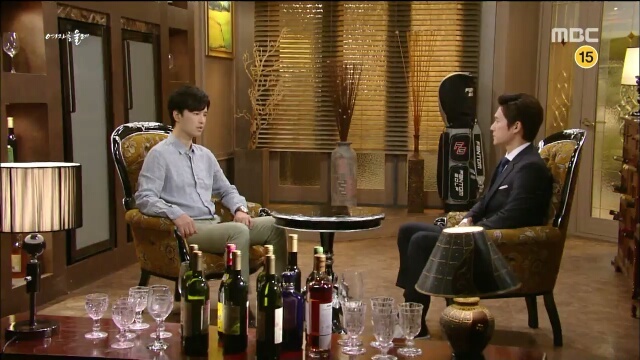 Daddy Kang also meets with Jinhan to ask why Jinhan is not returning to the house. Daddy Kang tells Jinhan that they will be kicking Eunseo out. However, Jinhan answers that he cannot live without his wife…but, his wife would not be comfortable in the house. He also apologizes that he is no longer the son that Daddy Kang remembers. Daddy Kang promises to return Jinhan to the bold young man that he once was. Momma Kang tries to reason with Eunseo. She promises to take care of Eunseo and always remember Eunseo as her daughter-in-law… and asks Eunseo to leave. Eunseo just apologizes because she cannot. Instead, she goes to see Jinhan’s wife. They go to a cafe where Eunseo tells the wife slowly that she is Jinhan’s wife and the mother of his child. She even hands over a letter with everything written down. The new wife reads the letter and starts to shake trying to process the information. However, Eunseo continues to yell at the woman complaining that she is so frustrated because she cannot make the woman understand. Fortunately for Jinhan’s wife, Jinhan arrives at the cafe at that moment. He declares that she’s ruder than he expected. Pulling his wife up, he drags her out after he tells Eunseo to leave the both of them alone. He even asks her to think of him as if he were dead. Eunseo follows them out of the cafe and sobs his name. As she does, Jinhan remembers Eunseo’s singing the first time that he met her … and his own words to Jin-Myung about whether Jin-Myung was interested in Eunseo. The scene where Jinwoo and Kyung-Cheol were sitting side by side and wondering about how they ended up in that situation was interesting. I cannot recall many dramas where the ex’s returned and had such civil relationships with each other, relationships that were not un-subtly focusing on the chemistry between the two. The only one that I can possibly think of is the drama Alone in Love. However, even that drama focused on the bickering chemistry between the two. Here, it is clear that Deok-In and Jinwoo are over for now. It was very bittersweet. Jinhan’s choice and actions in this episode were so satisfying! It might be my own bias but I hate girls who are perfect at pretending to be nice and talented at manipulating the others around them. Eunseo is the epitome of the girl who smiles even if she hates you, making the Hong-Rans around us first look like the bad person and then the idiot. It was perfect that Jinhan walks in on Eunseo with her guard down and her real face showing – one of cold calculation and judgment. Jinhan’s current wife is not someone whom Eunseo thinks is worth her time or effort to even manipulate. Another woman shows up in Jinwoo’s life just in time to save the company with her daddy’s money. Meanwhile, everyone finds out about Jinhan and Hyunseo becomes well. Eunseo wets her throat to tell her husband that she is here. However, before she can get a word out, Jinhan’s current wife runs over with kimbap. She gobbles a few pieces and Jinhan has to lovingly remind her not to eat so fast that she might get indigestion. Eunseo turns away sadly only to get her hopes up when Jinhan calls her… To pay for the pastries. She walks home in a mood and tells a curious Hong-Ran that her husband did not recognize her. Cue debriefing with Jin-Myung. Eunseo asks how Jinhan would not recognize her when she recognized him in one look. Jin-Myung answers that the only reason that Jinhan might have recognized him is because Jin-Myung was the last person Jinhan saw before the accident. He worries that Jin-Myung will remember how his little brother let his older brother fall into the water. Daddy Kang tells Momma Kang about seeing Jinhan and she demands to see her son as well. Despite everyone warning her not to overwhelm Jinhan, she goes crying to her son. She tells him that she’s his mother tearfully and Jinhan looks confused at Hong-Ran. 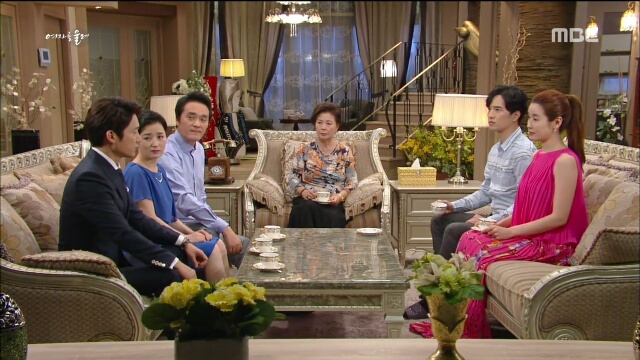 Hong-Ran tells him that her mother-in-law has dementia and pulls a sobbing Momma Kang away. Meanwhile, we see that a company had been paying a lot for product placement since Jinwoo randomly scribbles on a tablet to make a business point before said tablet is ignored. Instead, his father reminds him about an old fling from school… She has gotten a divorce and has started working as a teacher at Jinwoo’s old school. Her father, another CEO has told Daddy Kang that he wouldn’t mind investing in his son-in-law’s company, which Daddy Kang thinks is the answer to their current crisis. Jinwoo drives back to watch Deok-In clean her windows and gets caught snooping. So, he gets out and walks into the restaurant. To explain his presence, he tells Deok-In about Kyung-Cheol’s words and how Kyung-Cheol might be sick. Afterwards, they walk back and said old fling comes running up to Jinwoo, asking to be taken to Daddy Kang who always liked her. Deok-In watches this silently. Meanwhile, Daddy Kang calls a family meeting. He asks what the family thinks about bringing Jinhan and his current wife into the house. Hong-Ran firmly agrees that they have to bring the new wife home with Jinhan and Eunseo’s presence would only make it more difficult for his adjustment. Even Jin-Myung agrees that they need to bring his brother back home. Daddy Kang declares that there is a consensus, stares meaningfully at Eunseo and walks away. In a last ditch effort, Eunseo asks to speak with Jin-Myung who declines saying that he has nothing to say to her. Hong-Ran then follows Eunseo into the kitchen to gloat that Jin-Myung really only took care of her because of his guilt. Eunseo snaps back that she’s not just a maid that can be kicked out by the whim of the family. Hong-Ran answers that their father-in-law is the type who might actually physically drag Eunseo out before going upstairs to celebrate. Eunseo spends the night worrying. The next day, Deok-In’s regulars come in to praise the new English teacher a la Jinwoo’s ex. Who else comes in later than the ex herself! She brightly orders a dish of the noodles and happily eats it all up cutely. Meanwhile, Jin-Myung arrives at the pastry cart and asks for Jinhan who had gone to the bathroom. Jin-Myung and Jinhan go to a cafe where Jin-Myung tells Jinhan that he’s Jinhan’s younger brother… And that Jinhan has a son. Jinhan’s eyes widen with shock and he even tears up to know that he has a family…that his family is alive. Jinhan registers the fact that he has a woman, who gave birth to his son, still living with the family and almost breaks down. He returns to his cart but pauses a little ways away and looks at his poor wife who has no idea that he had a wife and son. Jin-Myung returns home to find Eunseo anxiously waiting. She asks if Jinhan doesn’t have any more children and seems relieved that he doesn’t. Later Hong-Ran wonders out loud if they can hire help to replace Eunseo. Eunseo angrily turns around and tells Hong-Ran that the game isn’t finish. She might still be able to win if Hyunseo regains his health; now that Jinhan is alive, there is no question that Hyunseo is the heir. Eunseo warns that if Hyunseo inherits the company, there will be nothing for Minseo. Jinwoo also visits Deok-In. Even though that they are not dating, he tries to explain away his relationship with his ex. He tells Deok-In that her father has invested in their company and saved the company from bankruptcy… He also adds that they have been friends since childhood. Deok-In asks if this was all Jinwoo had to say. Jinwoo answers that Kyung-Cheol seems sick. Deok-In calls Kyung-Cheol over to yell at him for keeping it a secret. She tells Kyung-Cheol to get treatment. However, Kyung-Cheol responds that he wants to spend the rest of his time earning money so that his family could have a pizza shop by the time he dies. He also tells her to stay out of his family’s affairs now that they are divorced. Deok-In comes home to find her mother living in her own world. Hasoon tells Deok-In that she will marry of all of Deok-In’s siblings-in-law. Then, Deok-In can return to Kyung-Cheol. Deok-In tells Hasoon about Kyung-Cheol’s illness. The first thing that Hasoon worries about is that Deok-In would return to suffering to provide for her in-laws. Hasoon also brings the compensation up again. She tells Deok-In to ask the Kang’s for the money again… They can use the money to treat Kyung-Cheol. If he still dies, they can give half of the amount to the Hwang family. Deok-In asks how they could ask for the money again. Hasoon angrily answers her daughter that this is the power of money… It is the reason that Kyung-Cheol is not even trying treatment! She offers to go ask for the money if Deok-In would be too embarrassed. Deok-In answers that she would never forgive her mother if Hasoon asks for the money. Meanwhile, Kyung-Cheol asks his mother if there is anything she wants to do… Like go on a trip. Bok-Rye answers that she hasn’t even seen cherry blossoms. Kyung-Cheol tells her that he will send her and Hasoon on a trip to see the cherry blossoms this year! Kyung-Cheol walks outside to see his younger siblings arguing adorably about a pot of ramen. At the same time, Deok-In closes up shop and sees Jinwoo come to pick up his ex. The ex invites Jinwoo to a musical and Jinwoo agrees. Unable to do anything, Deok-In hides from the glass and walks out after the car has left. Next, we get some good news! Hyojung tells Eunseo that Hyunseo has finally fully healed! She tells Eunseo that Hyunseo has only been able to heal because of his mother. Holding back tears of joy, Eunseo even apologizes to Hyojung for all of her harsh words. She then goes to tell her mother-in-law and Jin-Myung. Momma Kang happily tells the news to Daddy Kang. However, Daddy Kang seems less than enthusiastic and tells Jin-Myung that he’s worried about giving the company to Hyunseo because of Eunseo. Later that evening, another family meeting is called. This time, Eunseo has called the meeting. She announces to everyone that she will leave the house with Hyunseo. As for Hyunseo? He couldn’t care less about the company. All he cares about is Hyojung’s confession. His brooding session gets interrupted when a Eunseo comes in. She tells him that she will take him to see his father the next day. So, the next day, she takes Hyunseo and introduces him to Jinhan. Another episode where the family politics was more fun to watch than the fading drama between Deok-In and Jinwoo. I’m not sure how the romance will be picked up again and…a part of me did wonder if Hasoon’s words didn’t make sense. As much as it seems impossible for a mother to accept compensation for her son’s death… She now knows that her ex-husband has a fatal illness. She also knows that he’s not getting treatment because of the cost. It appears that swallowing one’s pride for any chance of her ex-husband and the father of her son to win against his illness is not too much to ask. Chalk one up to the writer for creating such a gradual and organic ethical conflict. As for the family politics, I’m excited to see what will happen when Jinhan comes home. Even though Hyunseo has been disappointed at his mother, he still loves her dearly. He won’t stand by for seeing her get replaced by another woman. Yet, Jinhan’s current wife, if they are legally married, is the only legal wife since Eunseo never married Jinhan. Also, he’s spent nearly two decades with this current wife! Total fodder for some emotional roller coasters to come. Things get started moving quickly once everyone find out. Hyojung confesses to Hyunseo about her past relationship with Kyung-Tae…and each of the family members start to take turns going to see Jinhan. 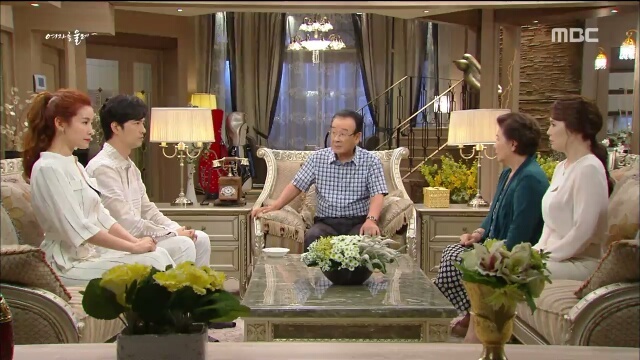 Jin-Myung warns Eunseo and then tells Daddy Kang. Hearing that Jinhan might actually be alive, Daddy Kang calls a family meeting and asks Hong-Ran all about finding Jinhan. Hong-Ran tells him about when she saw Jinhan but refuses to give the location until they kick out Eunseo. Daddy Kang yells that this is not something she can not talk about if she does not want to. However, Hong-Ran doesn’t back down and even goes upstairs… Jin-Myung follows but Hong-Ran returns with a packed weekender bag… She walks down to let everyone know that she’s not going to tell anything until Eunseo is kicked out. Daddy Kang yells at Jin-Myung who obediently goes outside to pull Hong-Ran back in… Meanwhile, Daddy Kang snaps at Eunseo for not leaving already and tells Momma Kang what is going on. Pulled back into the house, Hong-Ran announces that she doesn’t know what to do as well and stalks upstairs to lock herself in. Cue brooding, sighing, and general weeping about the possibility of Jinhan being alive! Meanwhile, slap a suit on Jinwoo and all of a sudden he’s born to be a business man… Giving a presentation on what it takes to be a top golf ball brand. He throws out some basic business elements and we switch to Deok-In who has called in Jin-Myung. She gives Jin-Myung his brother’s address. Jin-Myung asks why Deok-In would do this when she probably still has not forgiven his family. Smiling, Deok-In answers that she will have to live with the guilt of letting her son die early… She knows that he has lived with the guilt of letting his brother die… She doesn’t think he wants to live with the knowledge that he might have been able to find his brother but could not. Jin-Myung asks why Deok-In didn’t tell Jinwoo. Deok-In explains that she doesn’t want Jinwoo to think that this is compensation for sending his son away. She hands over a piece of paper with the warning that Jin-Myung should handle this carefully… His brother is married to a bright and sweet woman. Jin-Myung immediately heads over to see his brother. However, seeing Jinhan with his wife, Jin-Myung turns away. When Jin-Myung comes home, he finds Eunseo anxiously waiting for him. She whines that she doesn’t know how she’s to survive another day with two members of the family waiting to kick her out… They need to find her husband. Jin-Myung comes over to sit down with Eunseo and answers that he found his brother. He also adds that his brother was not alone…he notes that things will get complicated from now on. Eunseo snaps that there is nothing complicated. 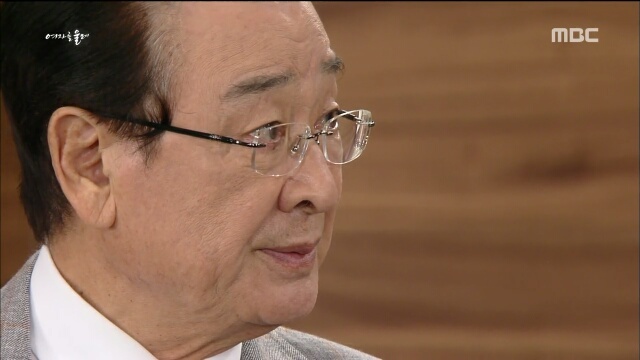 Jin-Myung answers firmly that his brother won’t throw away his wife before coming into the house… He’s been with his wife for twenty years while he only spent one year with Eunseo… Jin-Myung warns Eunseo that if Jin-Myung brings the woman home, Eunseo might not be able to stay in the house. Eunseo runs out to ask Hong-Ran if it is true that Jinhan has a wife. Hong-Ran whines that Eunseo already found out. Then she asks Eunseo what she will do if Jinhan comes back with a wife? Eunseo answers that Jinhan will always pick her as Jinhan loved her so much. Hong-Ran smiles that she will have to tell Jinhan just how Eunseo was faithful to his memory, flirting with his younger brother. Eunseo runs to ask Jin-Myung the address so that she can demand that the other woman leaves. Jin-Myung refuses. At the same time, Jinhan goes with his wife to a hair salon so that he can explain what kind of cut she wants. He tells the woman how they go everywhere together. Jin-Myung calls in Jinwoo to tell him the news. He explains that Hong-Ran announced that she found him but Deok-In was the one who told Jin-Myung the address. Jinwoo goes to Deok-In’s restaurant to thank her. She responds that he doesn’t need to be polite to her now that they have both hurt each other. Jinwoo answers that neither he nor Yunseo blame her. However, Deok-In answers that it hurts whenever she sees him because he reminds her of Yunseo. Deok-In goes in and Kyung-Cheol comes by. He brings Jinwoo to a cafe and asks Jinwoo to take Deok-In away to some place where they can be together. As an explanation, he notes that he doesn’t want Deok-In stuck taking care of his family after he’s gone. Jinwoo tells Kyung-Cheol to get medical help. Kyung-Cheol responds that he doesn’t want to spend his limited time in the hospital and repeats that it’s his last request. Kyung-Cheol stops by to tell Deok-In that the results came out negative. They go to a park and Kyung-Cheol begins that he thought about a lot of different things when he realized he might die. He tells Deok-In to just marry Jinwoo and forgive him. Deok-In snaps that she can’t forgive Jinwoo for Junghoon. Kyung-Cheol reminds Deok-In that her anger doesn’t mean that she doesn’t love Jinwoo anymore. Also, Junghoon wouldn’t want her to be unhappy…so, she should just go with Jinwoo as life is short. 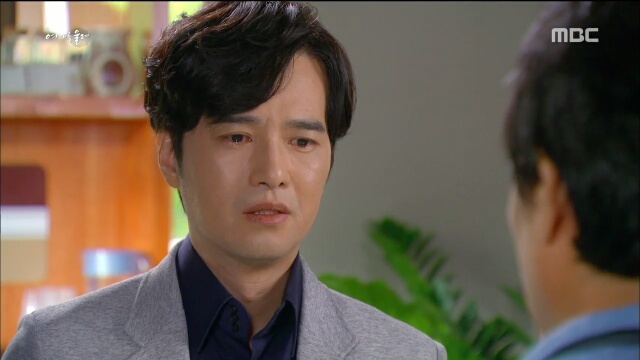 Deok-In looks at her ex-husband with new eyes and sighs that he’s matured. 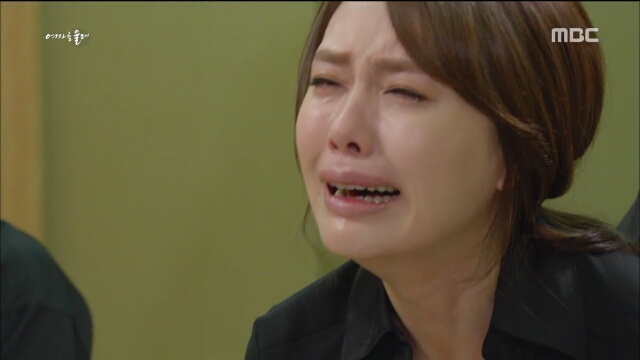 She notes that even if he says so, she cannot forgive Jinwoo because she is Junghoon’s mom. Deok-In goes back and sits in her restaurant thinking about Kyung-Cheol’s words. Jinwoo comes by and watches her from outside. Meanwhile, Kyung-Cheol heads over to the pizza shop where Kyung-Soo works and wonders how much it would cost to start one… One should be enough to take care od their family. 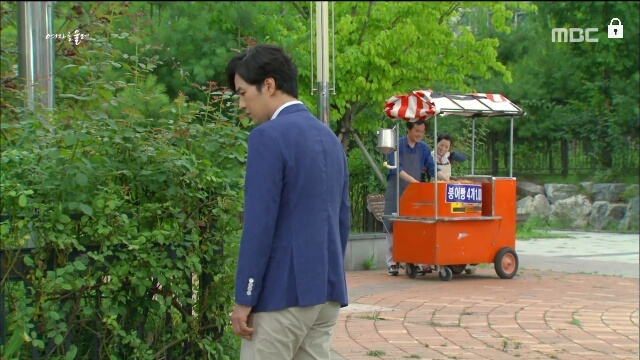 Jin-Myung stops by his brother’s cart again and gathers up the courage to speak with him. 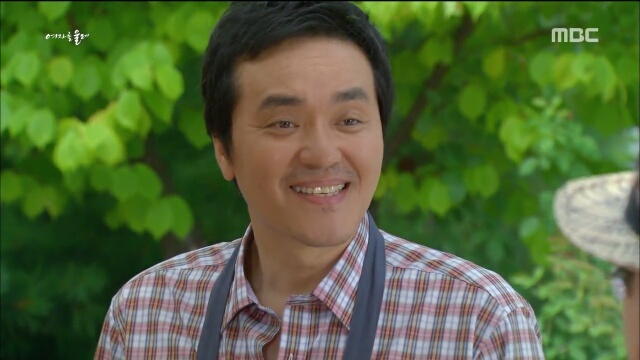 Jinhan smiles and recognizes him as Hong-Ran’s husband, asking if she wanted some pastries. Jin-Myung asks how Jinhan remembered him. Jinhan answers that he obsesses about anything from the past… And looking at Jin-Myung’s picture, he felt like he knew Jin-Myung from prior to the accident. He also asks Jin-Myung to think about whether he might remember seeing Jinhan in the past. Handing over a note with his number, he asks Jin-Myung to call if he remembers anything. 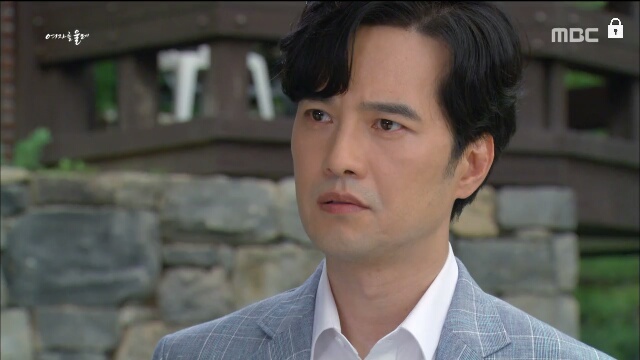 Still haunted by his meeting, Jin-Myung warns Eunseo and then tells his father. Daddy Kang immediately asks for Jinhan’s address. He goes to check on Jinhan who doesn’t recognize him but is completely polite. Jinhan explains that he doesn’t have parents so he always feels empathetic toward elders… Then he notes he’s not sure he should be speaking about his parents like this since they can be alive. Daddy Kang looks at Jinhan tearfully thinking to himself that he found his son. Feeling moved, Hyojung tells him that she has to confess something… She tells Hyunseo that Kyung-Tae is not her brother but her ex-boyfriend. Hyunseo asks why she lied but the scene cuts. Later, Hong-Ran gets cornered in the kitchen by Eunseo. Eunseo reminds Hong-Ran that Jin-Myung has Jinhan’s number so Hong-Ran can’t hide him again… She might as well tell Eunseo Jinhan’s address. Hong-Ran does and Eunseo pretties up to go see Jinhan. She carefully walks over… But he doesn’t recognize her. This isn’t a new plot device – the lost memories and falling in love again – but it feels so fresh. I am not exactly sure why but I think it is a combination of of good writing and good acting. Additionally, the stakes seem especially higher. In other dramas, the person who loses his or her memory develops a new family… But that is the extent of the damage. Here, Eunseo has (albeit for selfish reasons) dedicated her life to the family of her son’s father. If they keep her son because he is part of the bloodline and kick out Eunseo, all of her suffering is in vein. Even if Eunseo’s acting is a bit stilted, I still see the tension on the scene and that is amazing. One thing that I didn’t like is the random Kyung-Cheol sickness plot device. It was okay to randomly ship Jinhee off abroad since we felt a cathartic release when she tricked Kyung-Cheol into divorcing Deok-In… However, this fatal disease seems more random and hand-of-writer meddling for convenience.